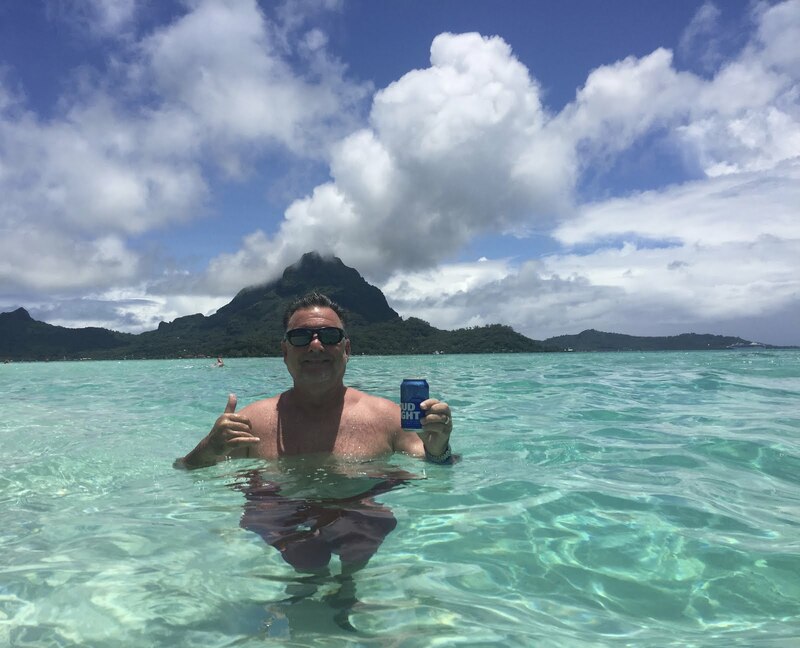 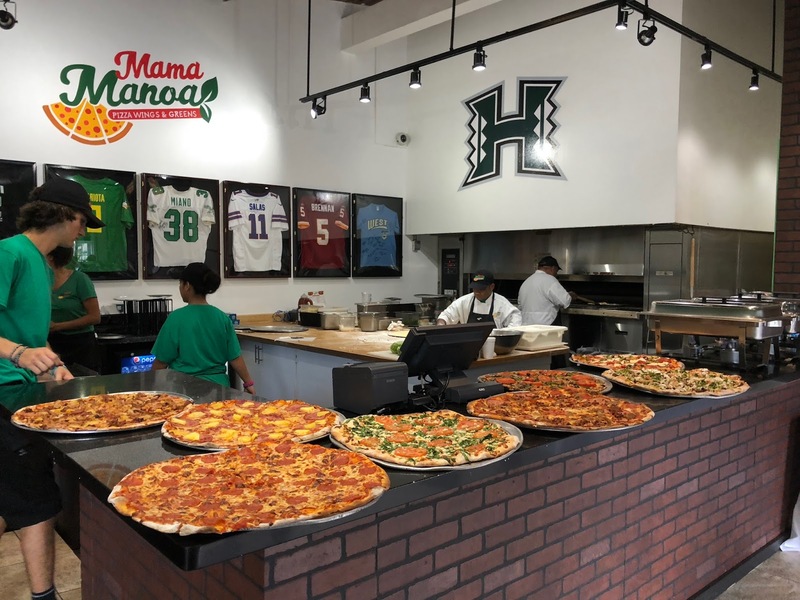 Full disclosure, I am part owner of Mama Manoa. 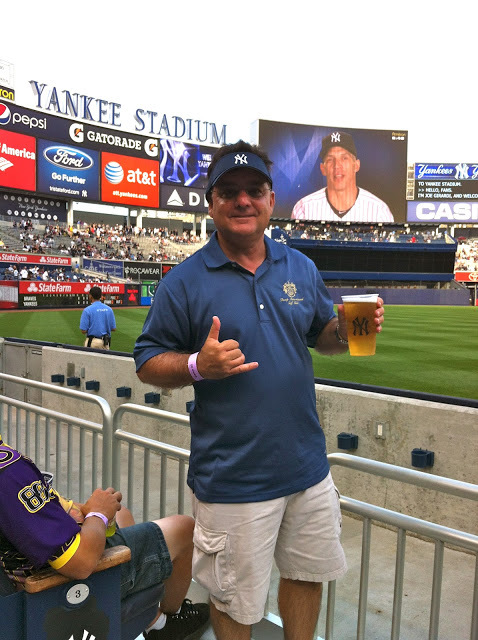 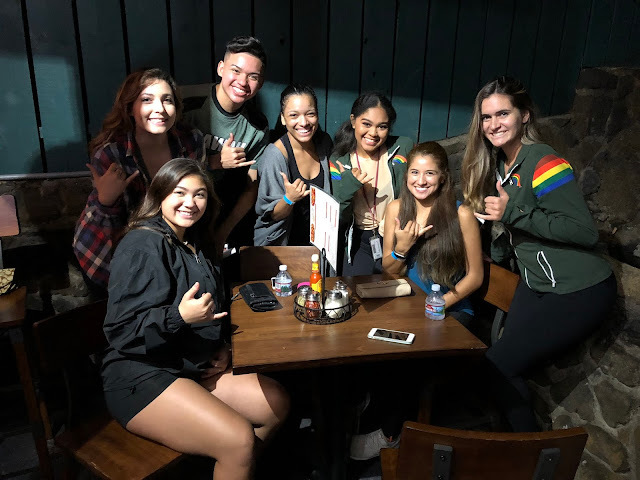 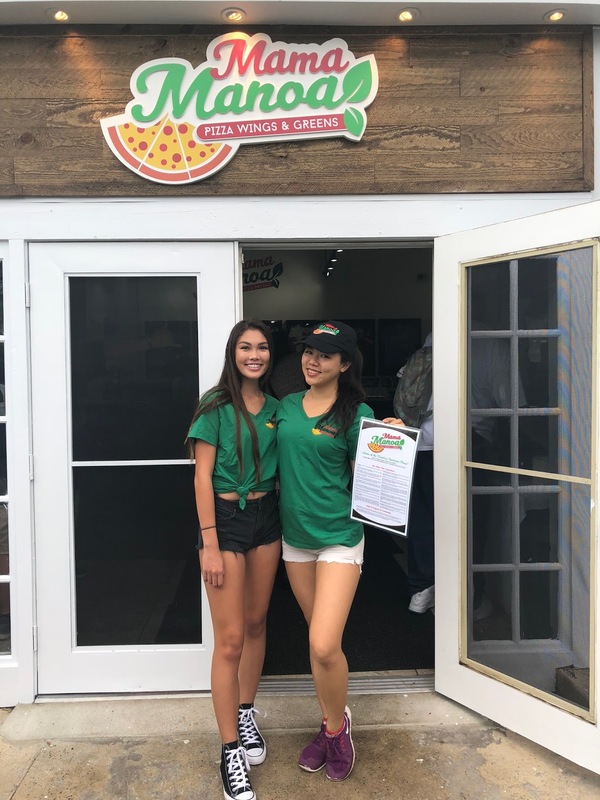 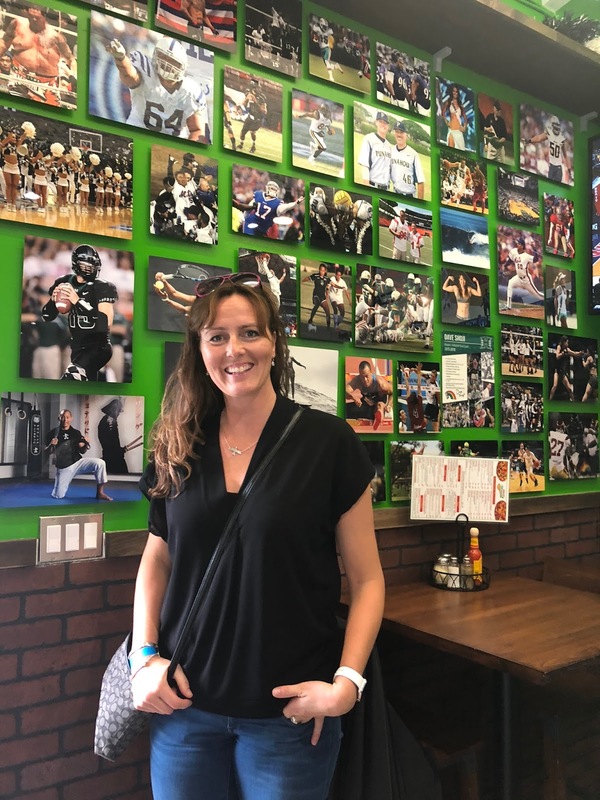 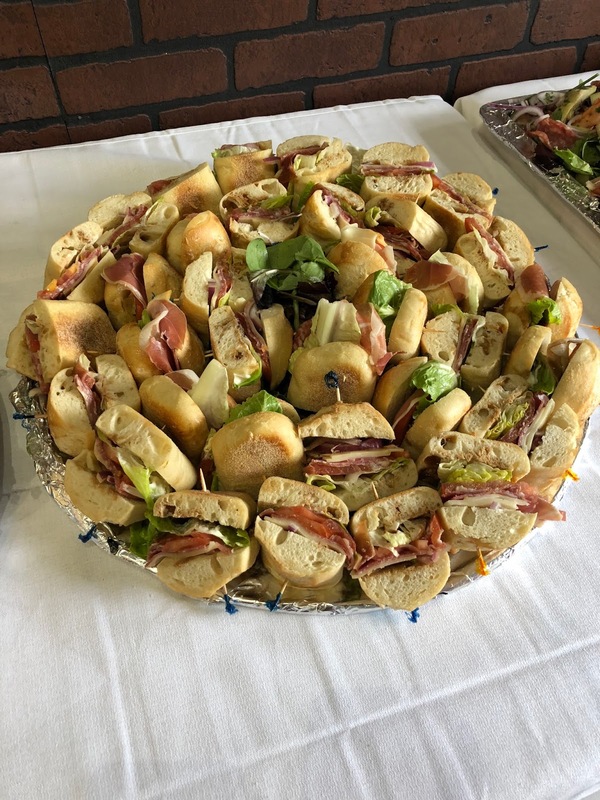 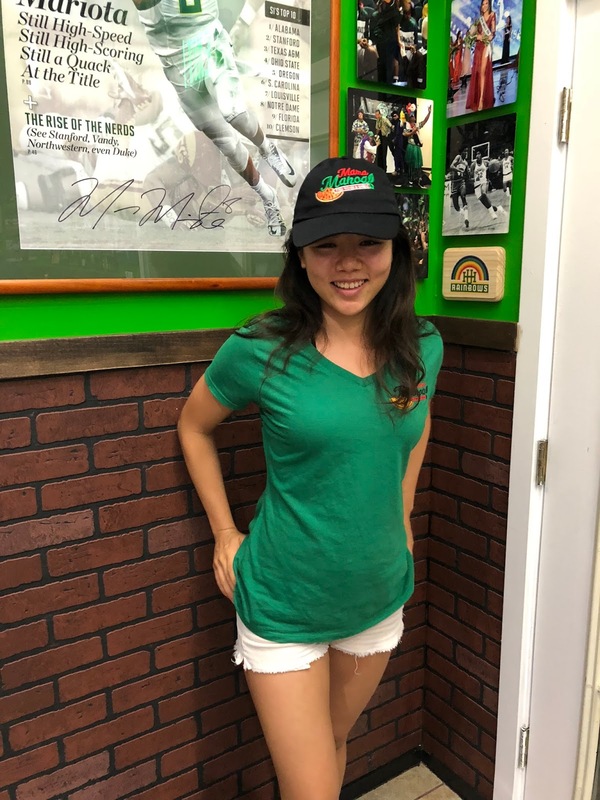 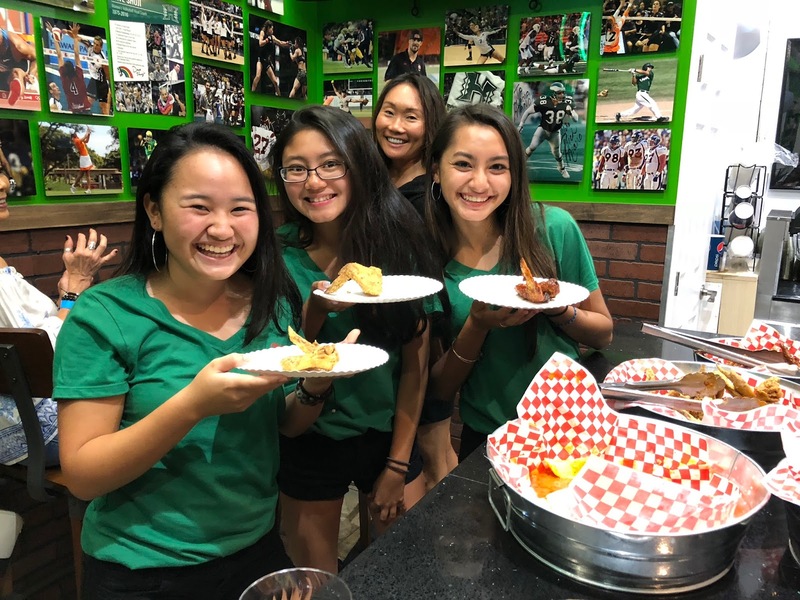 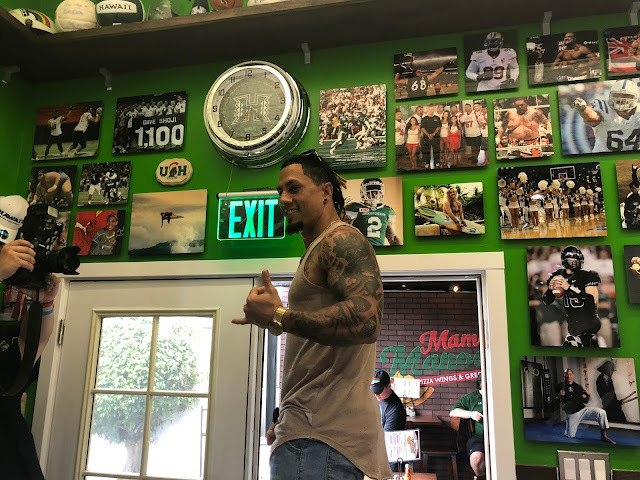 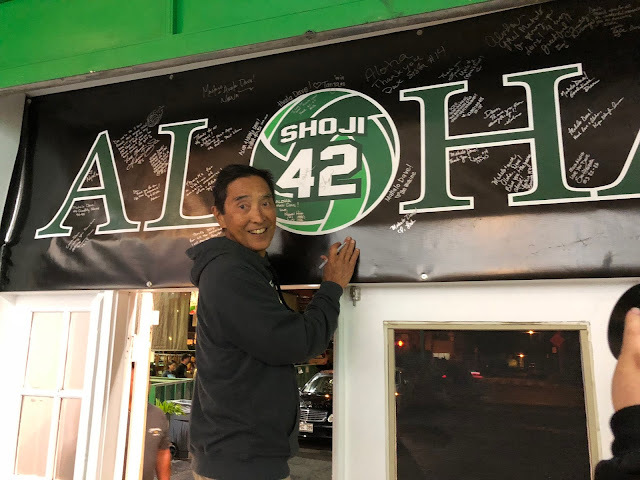 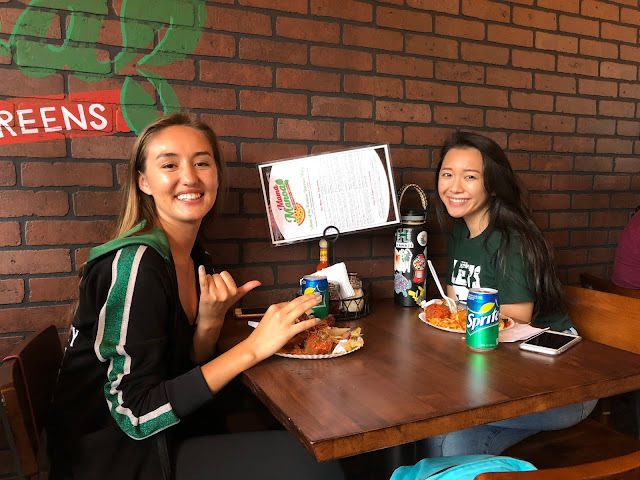 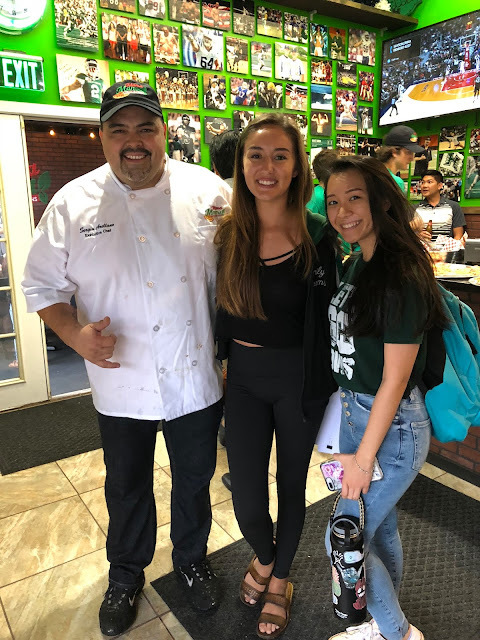 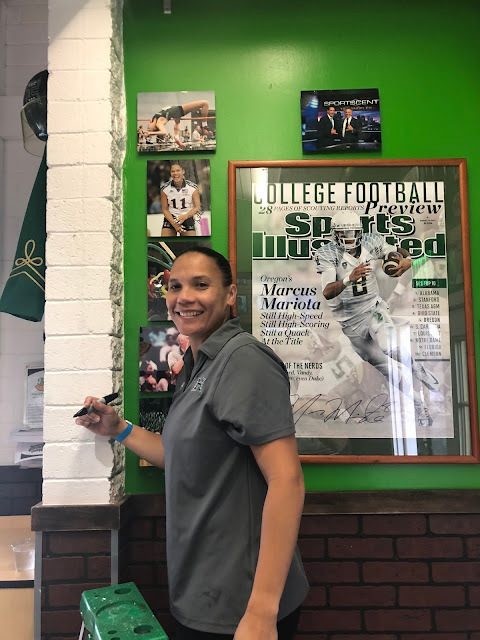 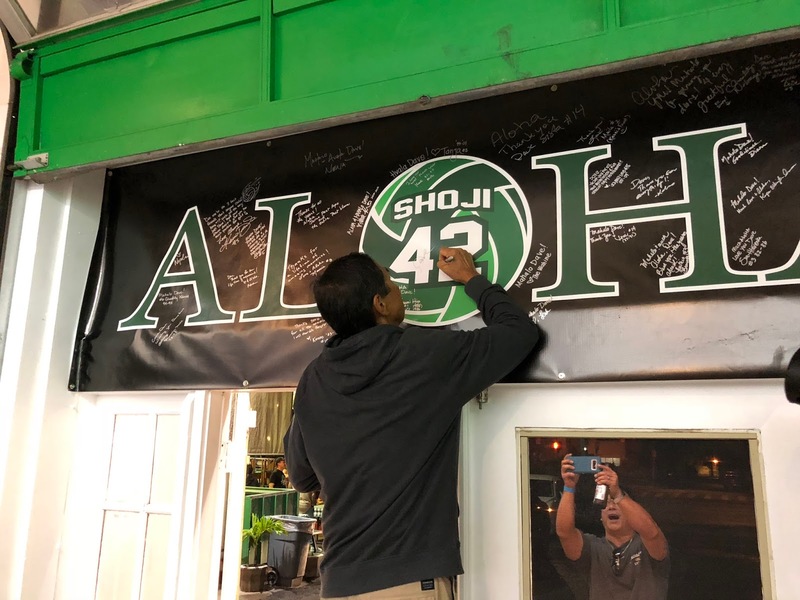 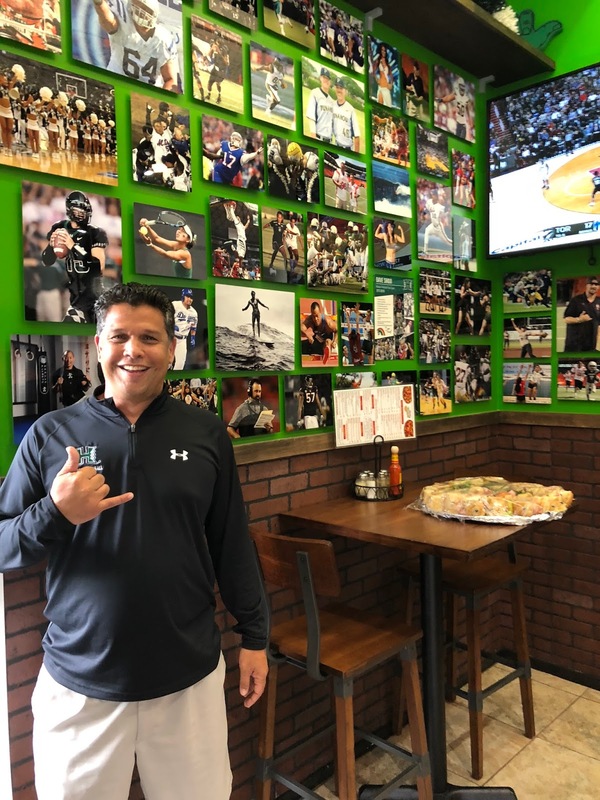 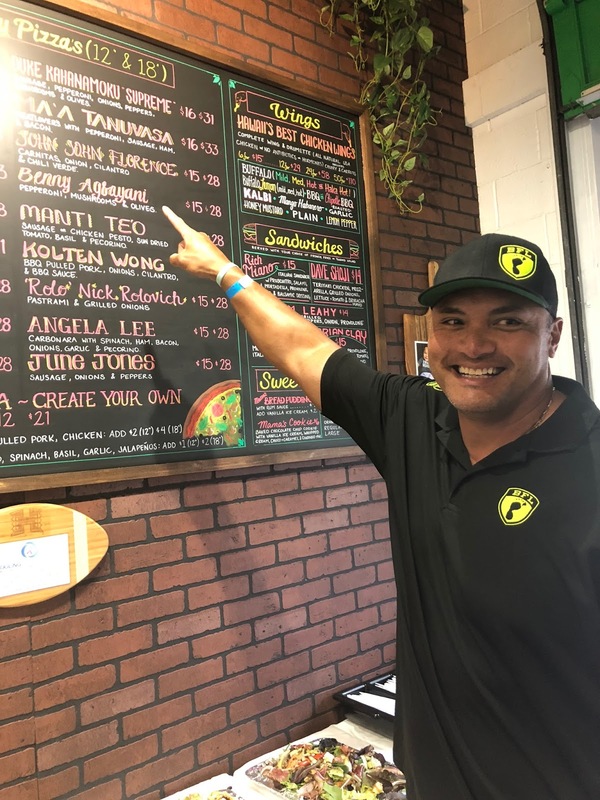 Realized my dream of bringing a neighborhood bistro to Manoa that celebrates University of Hawaii sports and athletes from the State of Hawaii. 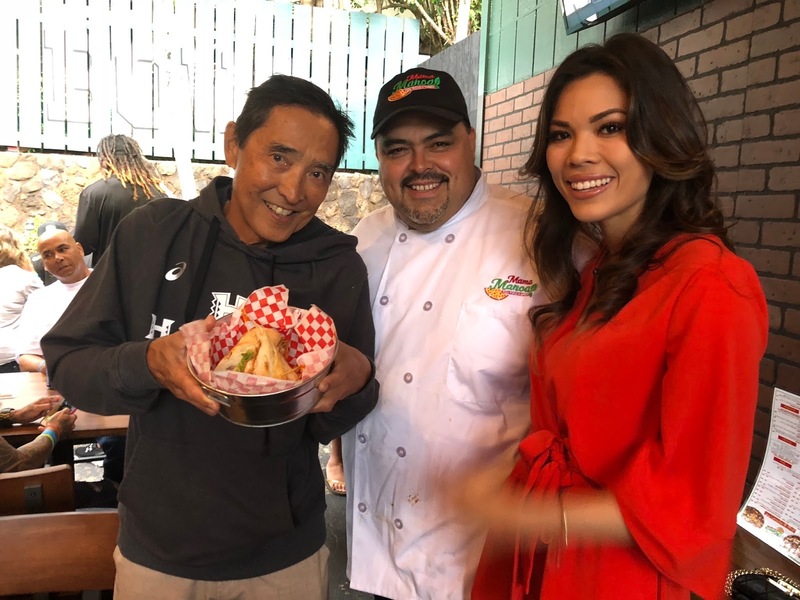 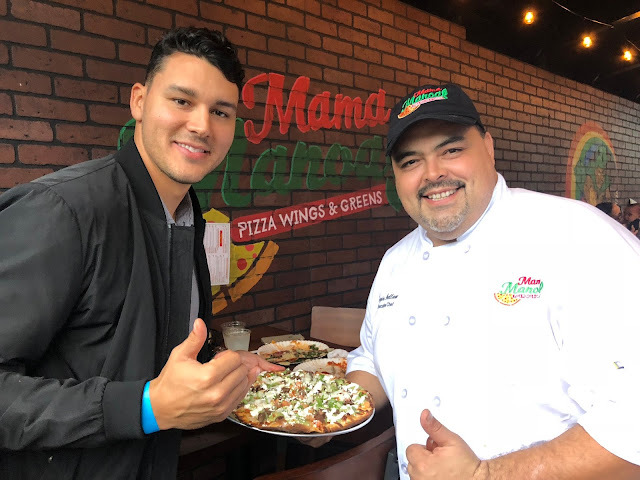 With my business partner Serge Arellano who also owns Serg's Mexican Kitchen, we created a Pizza - Wings and Greens concept that is part museum, part garden and a big part great food. 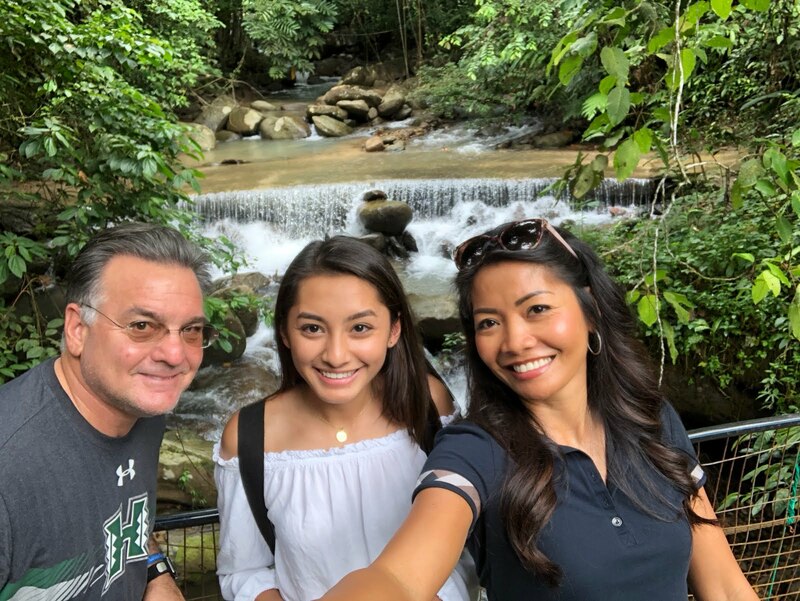 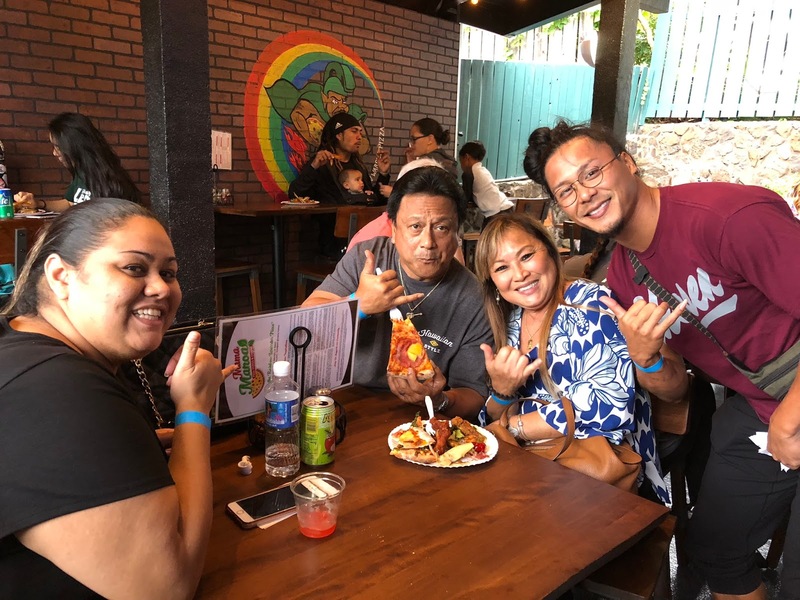 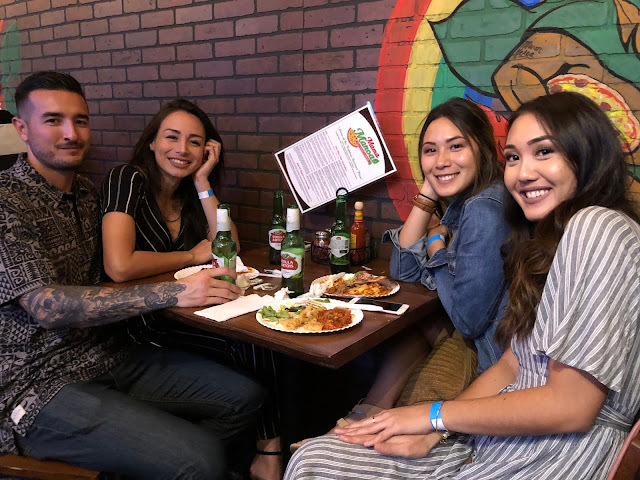 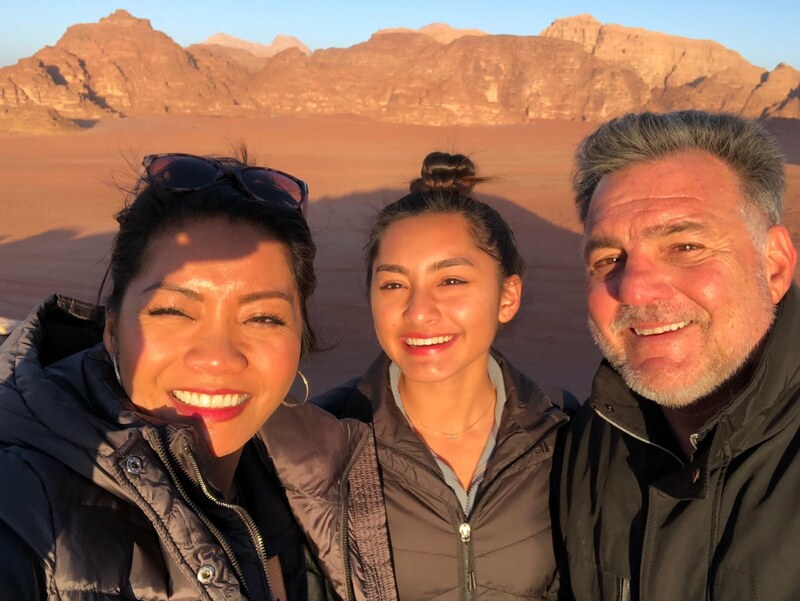 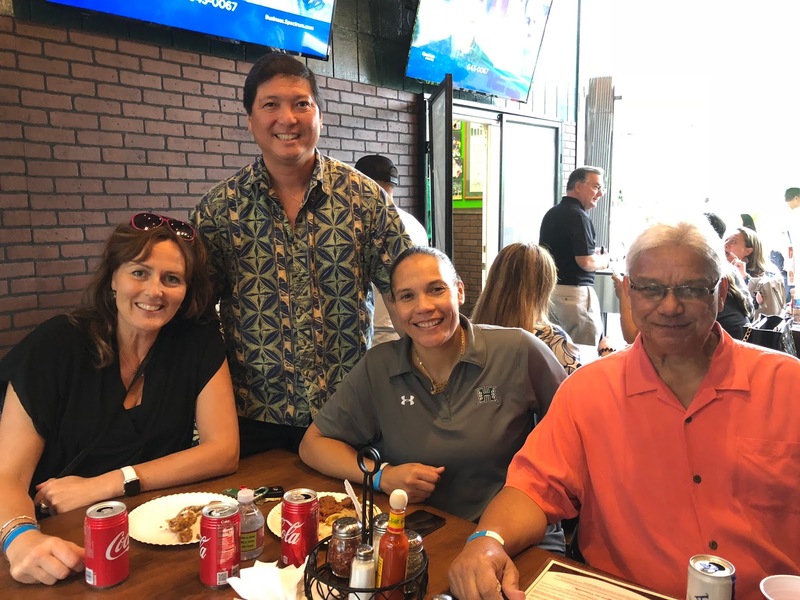 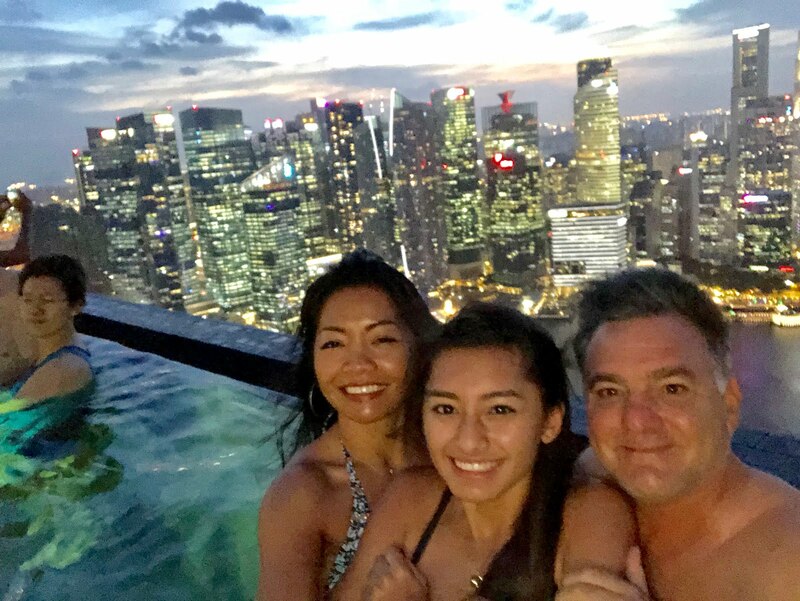 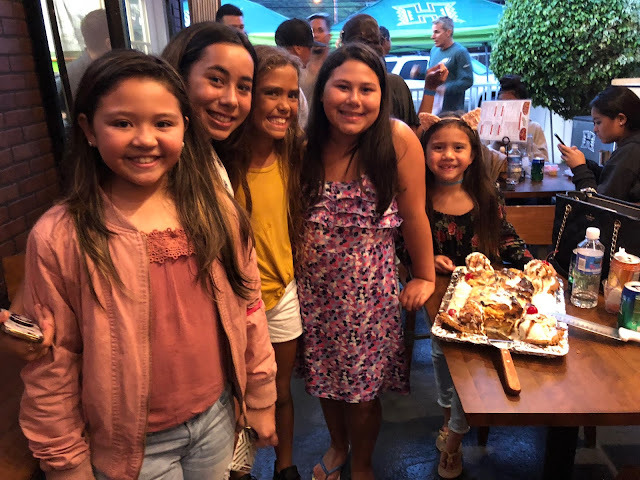 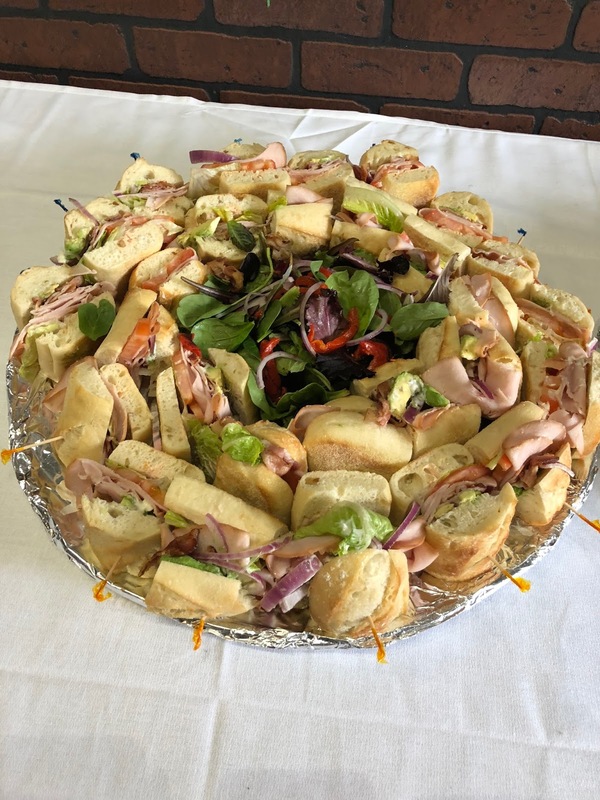 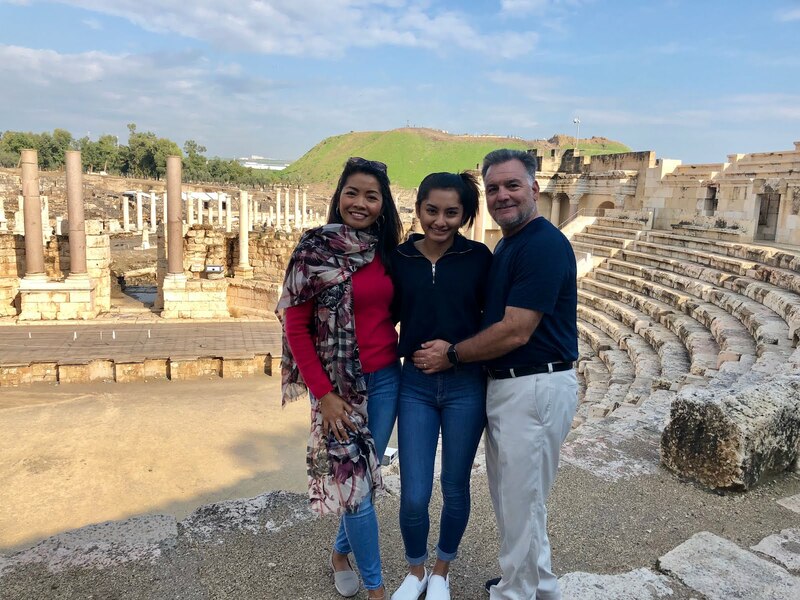 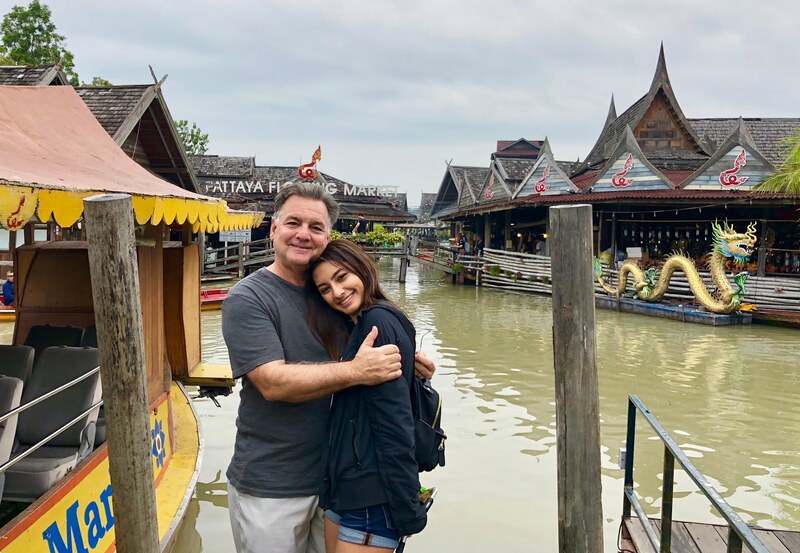 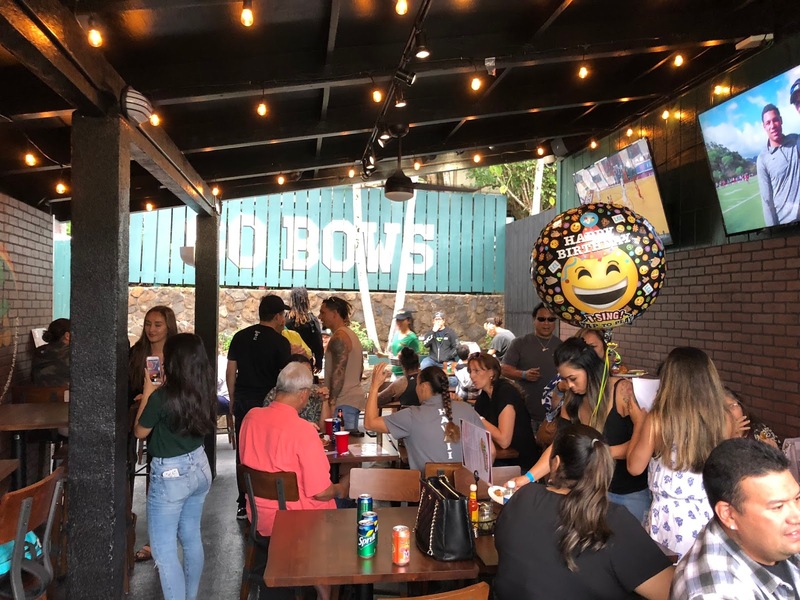 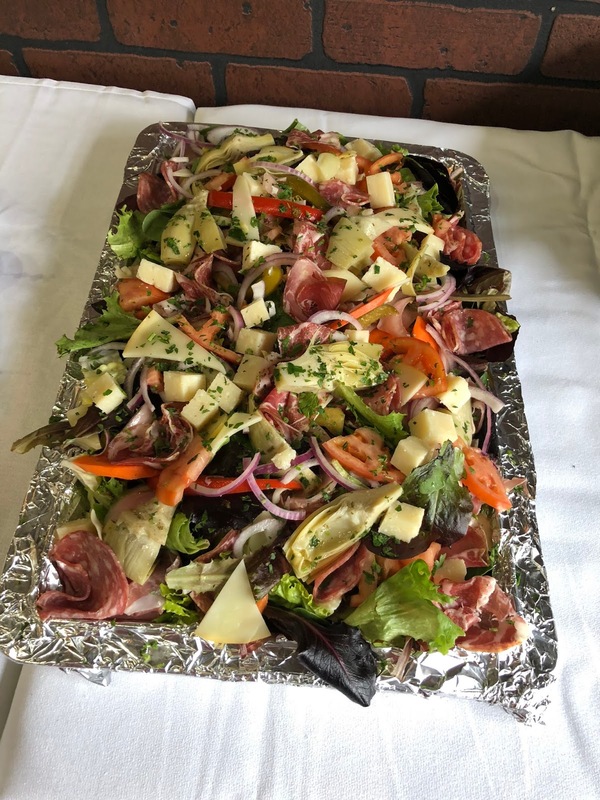 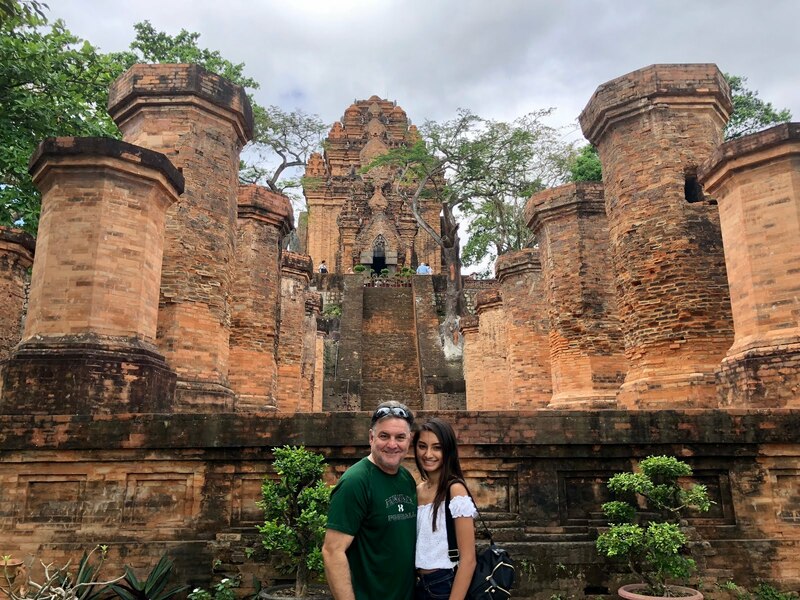 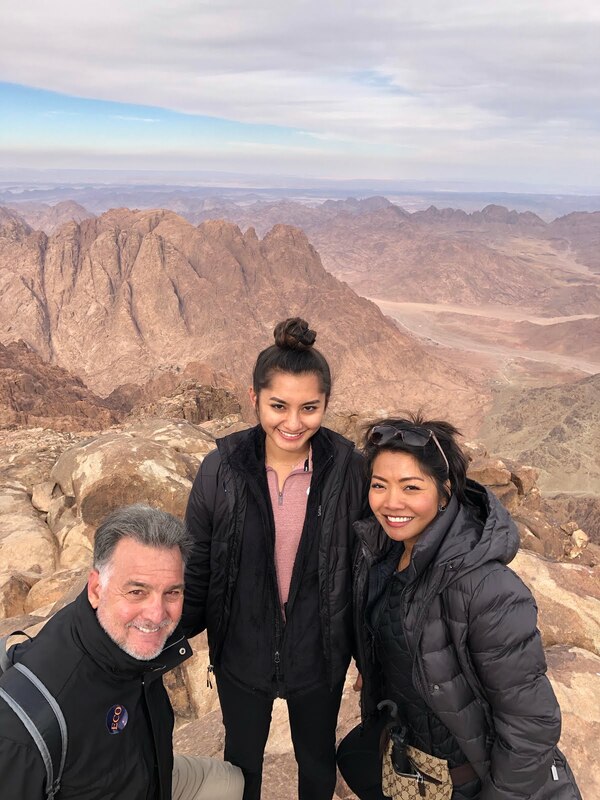 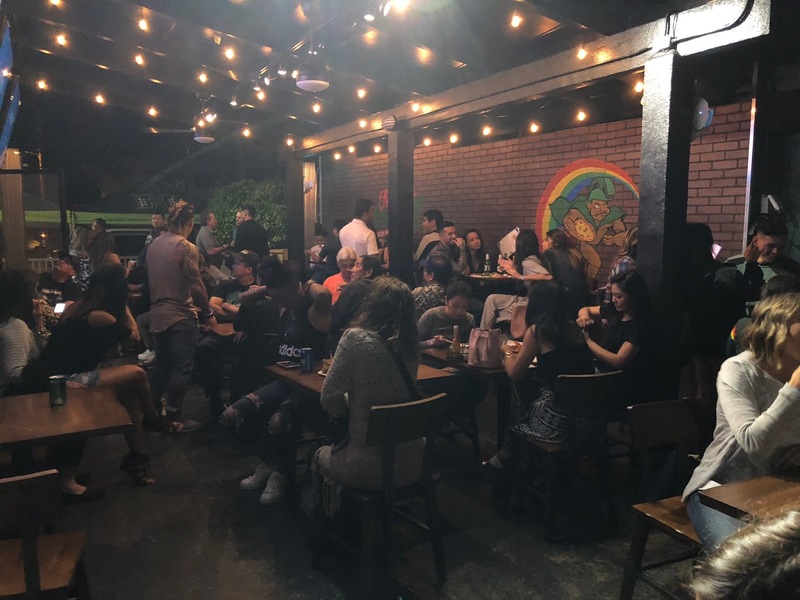 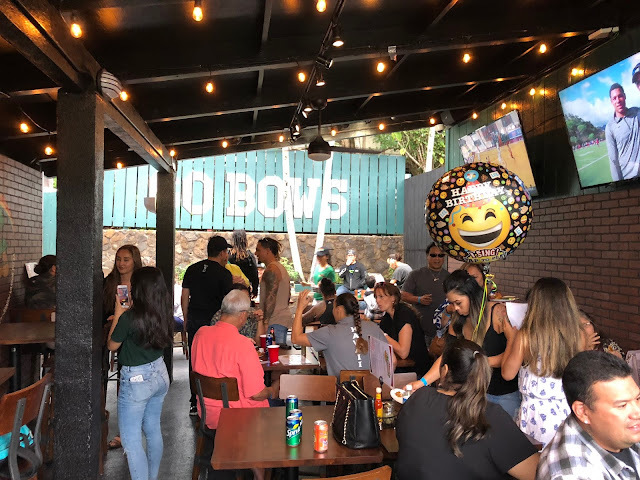 While we wanted the food to be the star here, we also wanted the atmosphere and feel of the restaurant to compliment and enhance the Manoa neighborhood. 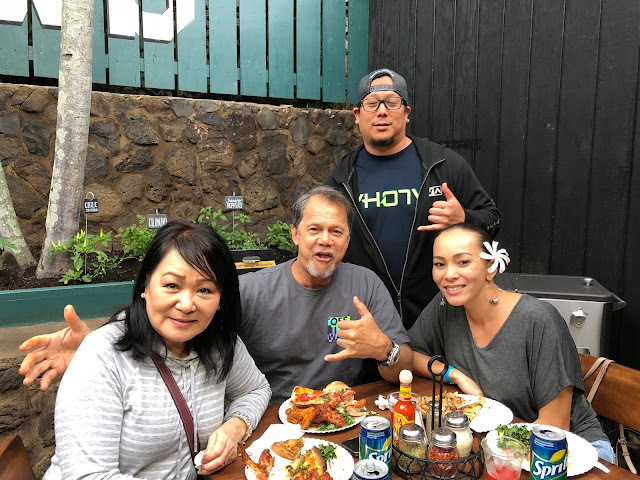 I think we accomplished this with our beautiful outdoor patio that has three widescreen televisions to enjoy University of Hawaii and other sporting events, a fresh herb garden where we cultivate herbs for the kitchen and Rainbow Falls which is a small waterfall adjacent to our garden. 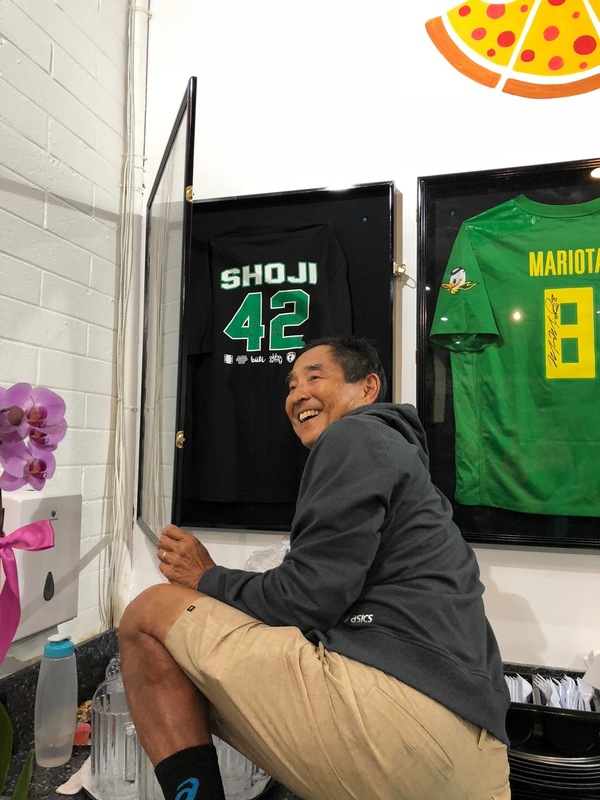 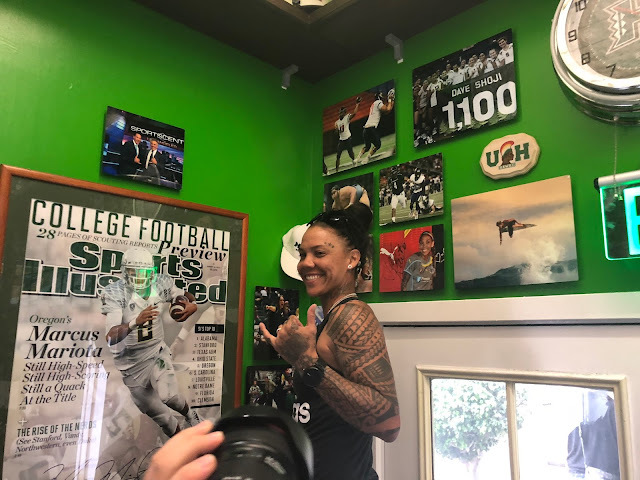 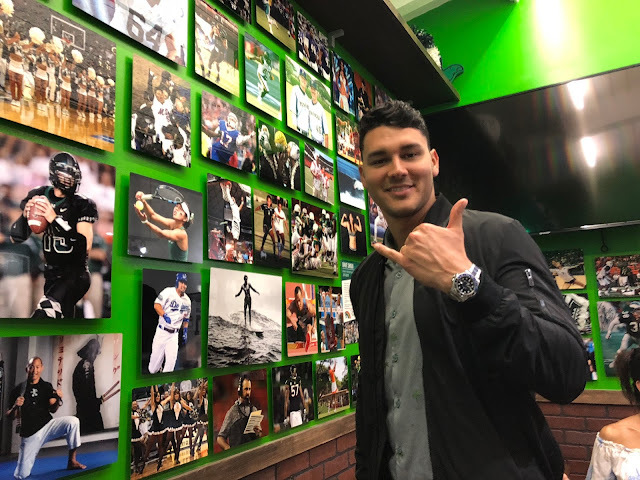 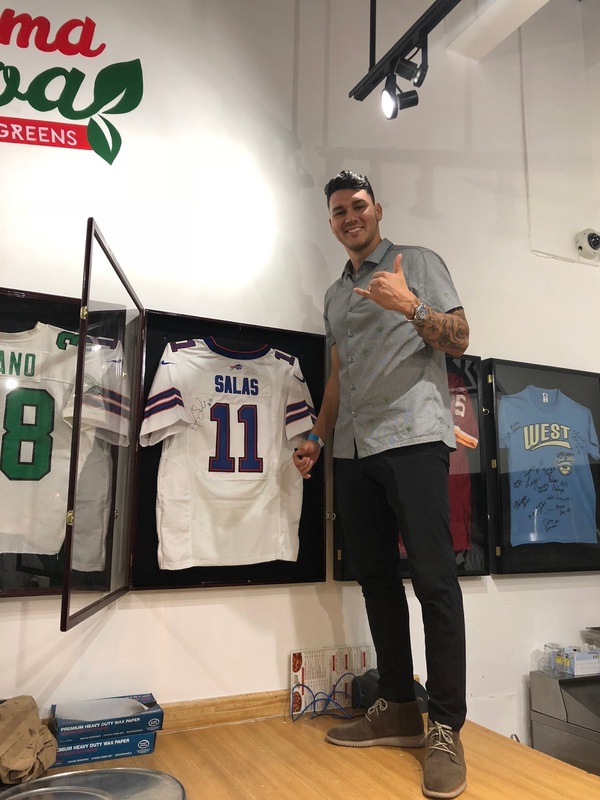 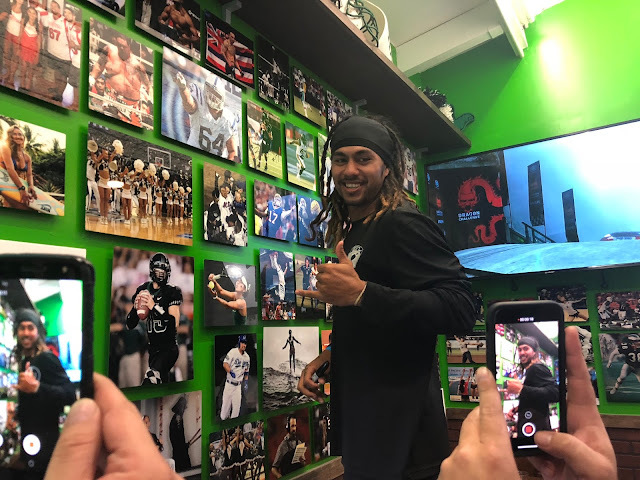 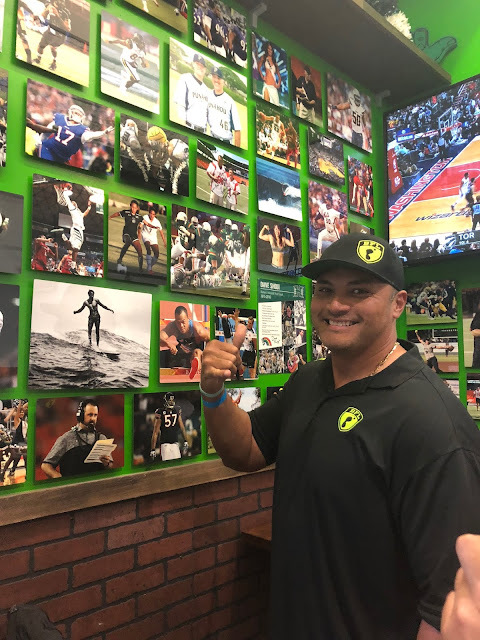 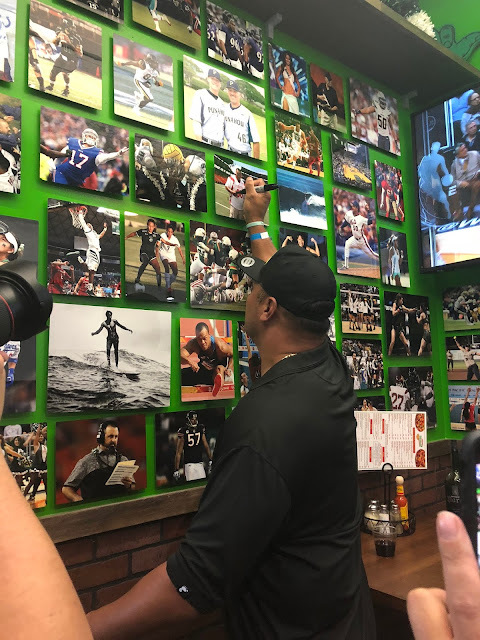 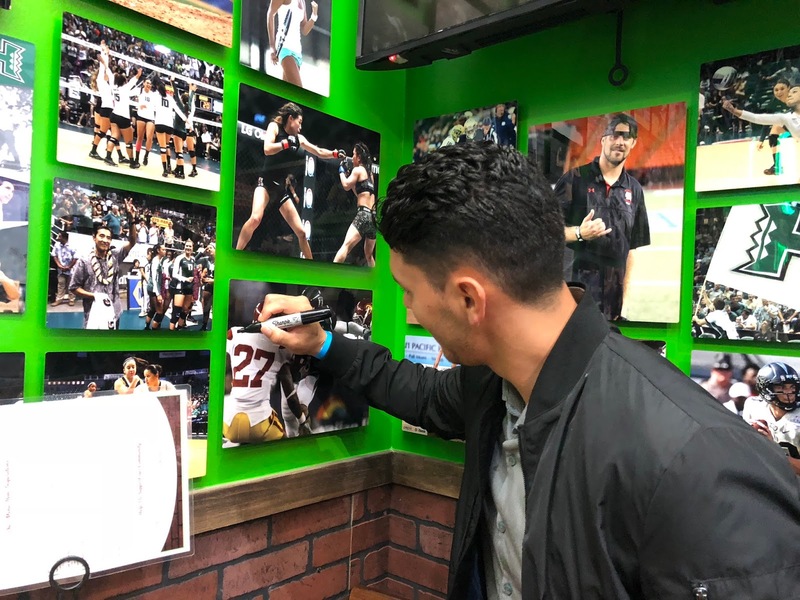 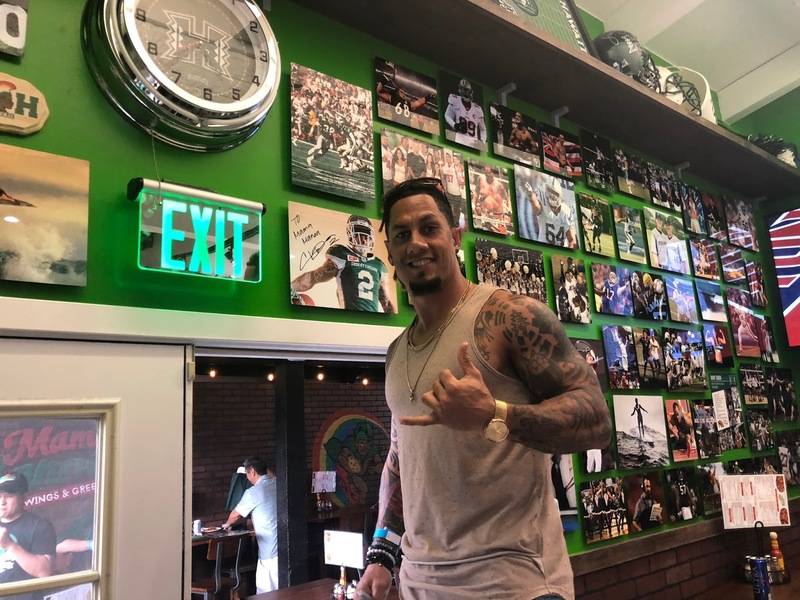 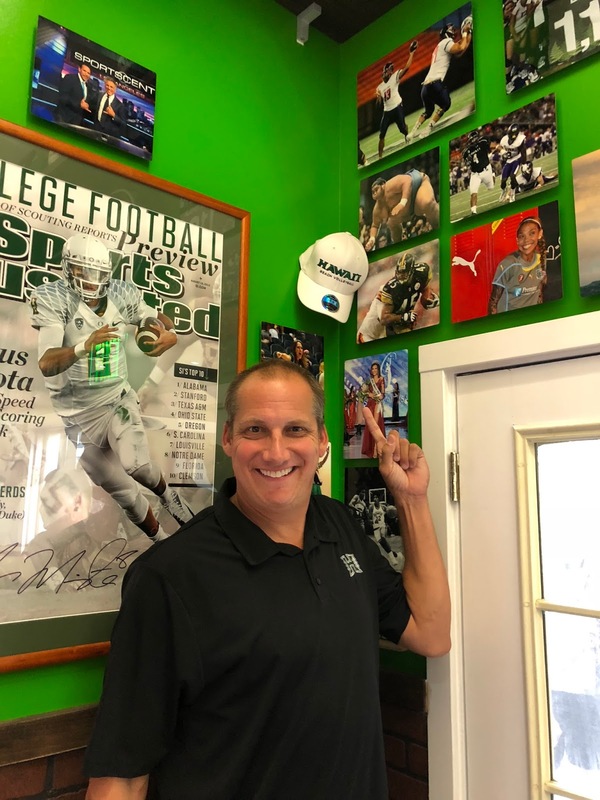 All of these elements plus the indoor Wall of Fame that includes photographs of some of Hawaii's greatest athletes, signed jerseys and memorabilia from Hawaii's great athletes and coaches. 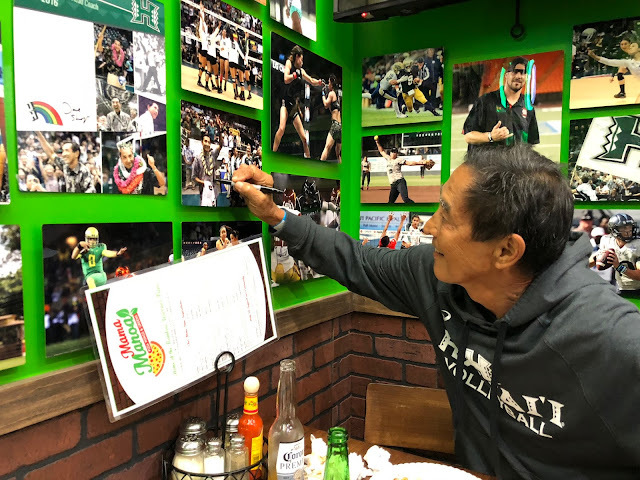 All of this comes together with great menu and wall art created by local artist Erin Mauro. 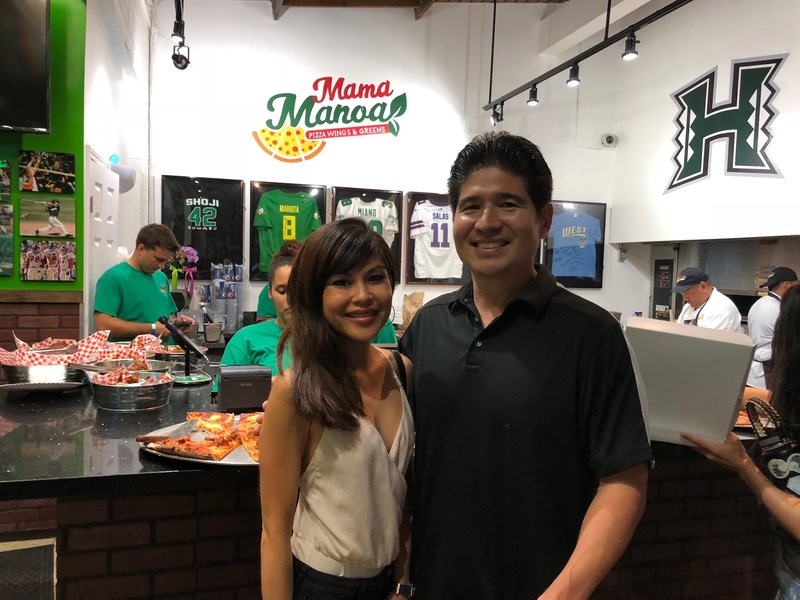 Erin captured the essence of Mama Manoa and hand painted the menu, murals and wall art inside and outside of the restaurant. 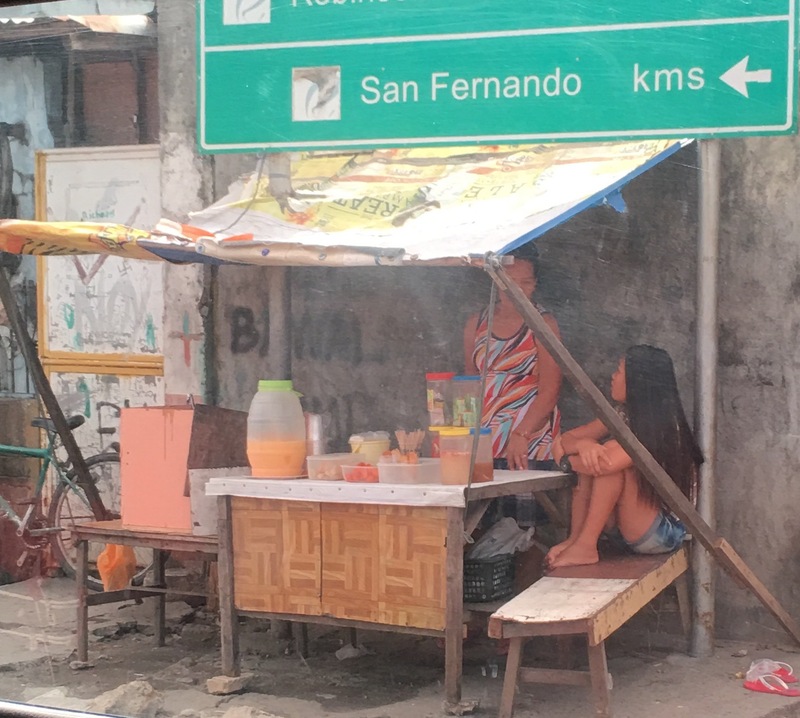 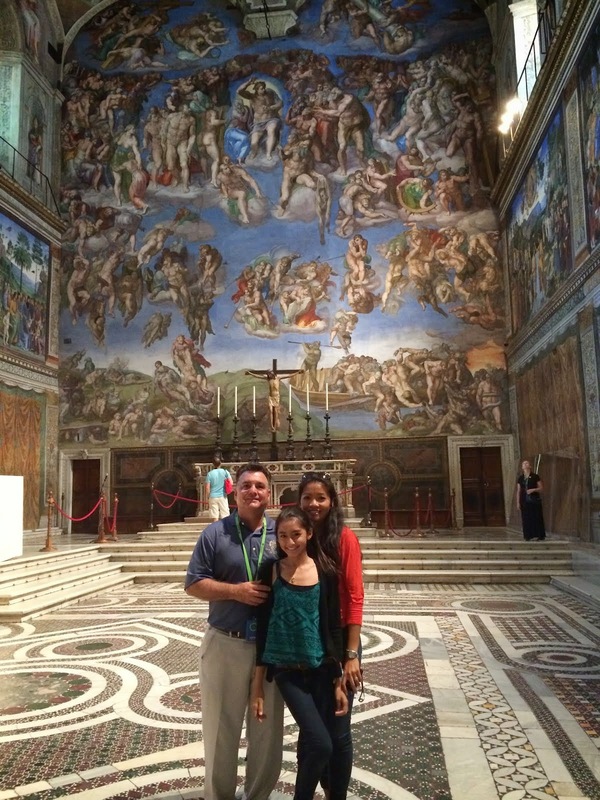 Her passion, ability and talent brought our entire concept together with color and textures she brought to the space. 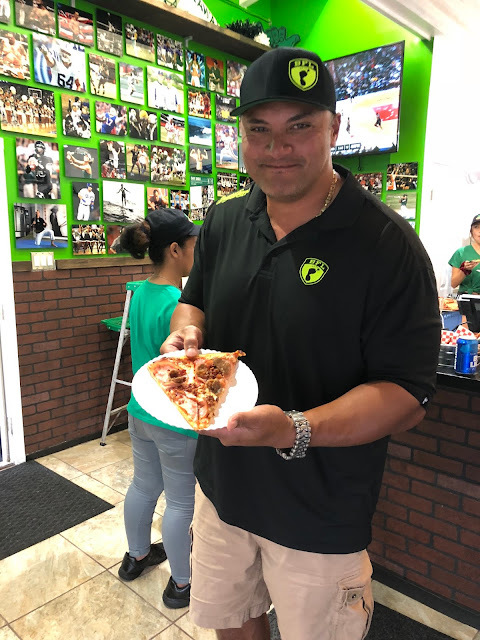 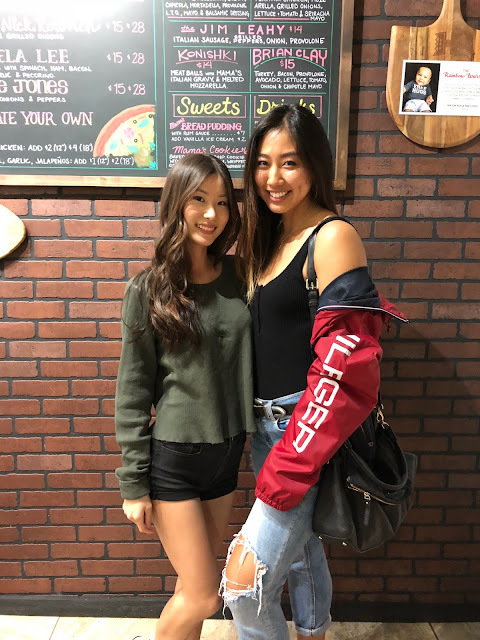 Now lets get to the food and Grand Opening. 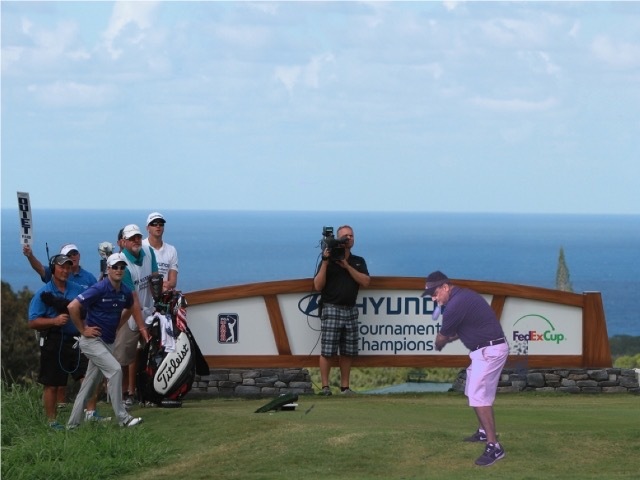 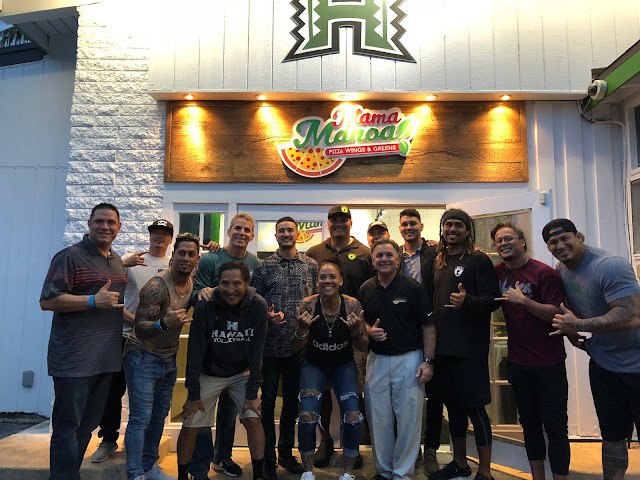 First off the Grand Opening was like the Oscar Awards for Hawaii sports. 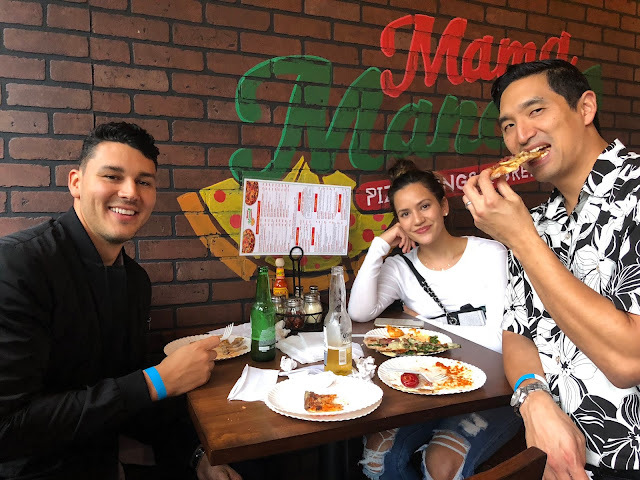 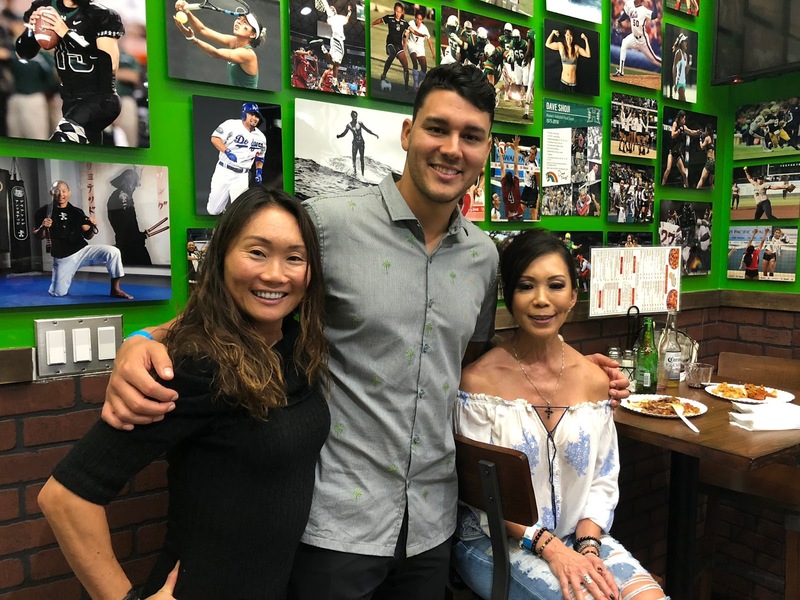 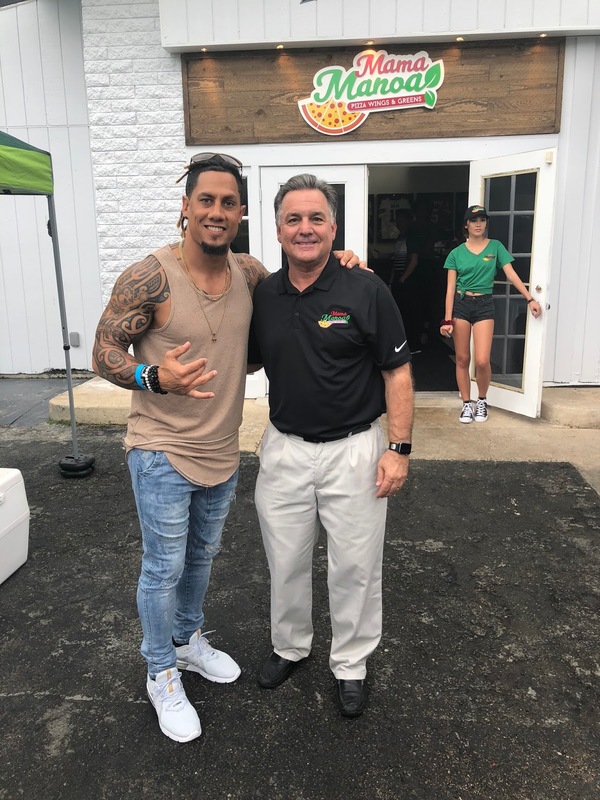 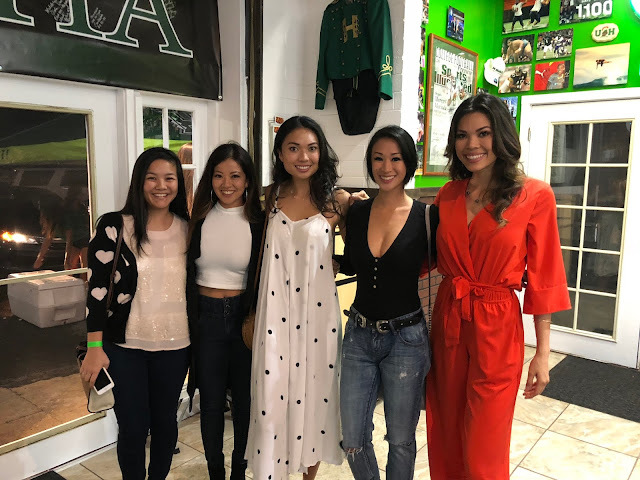 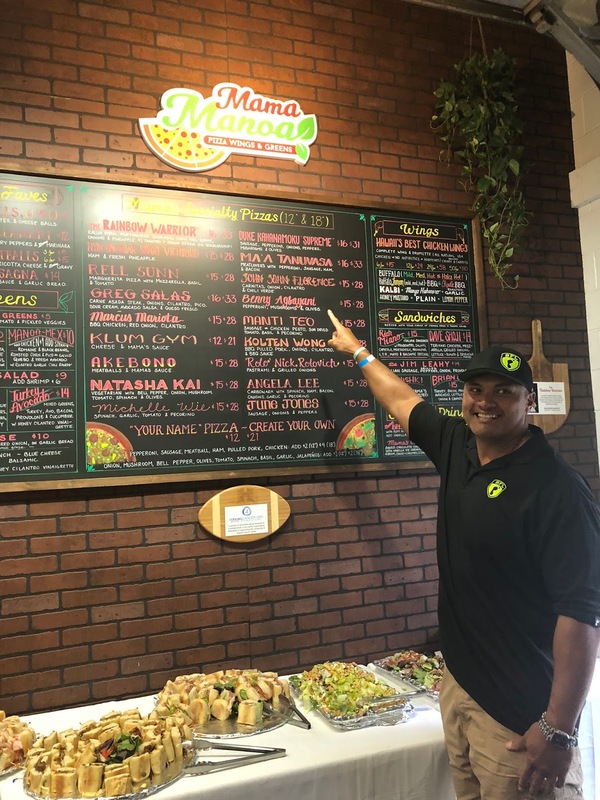 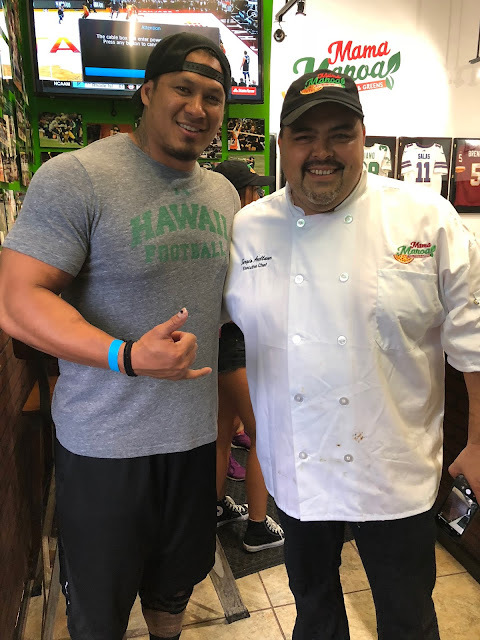 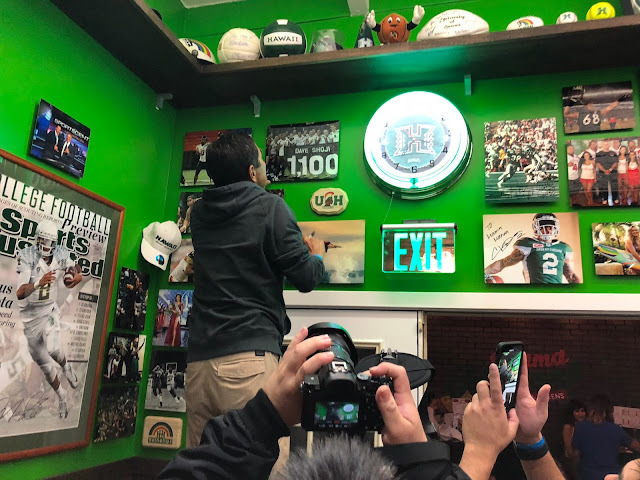 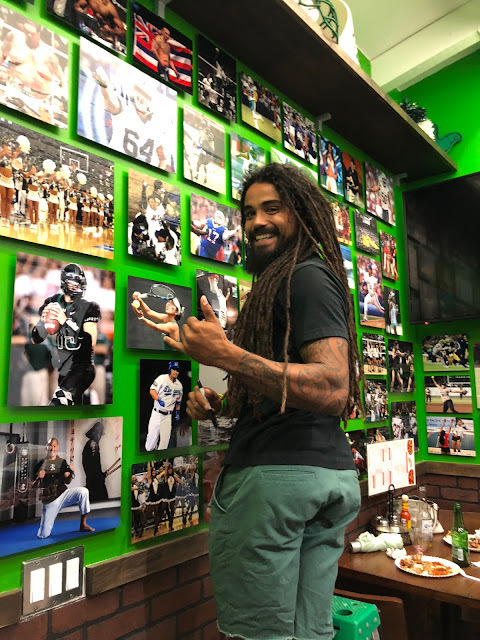 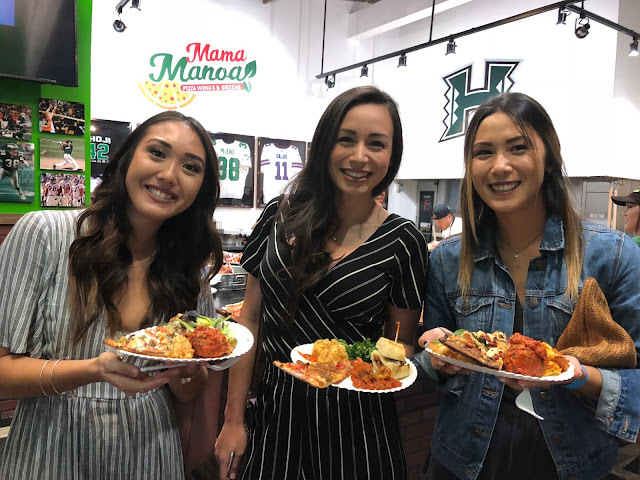 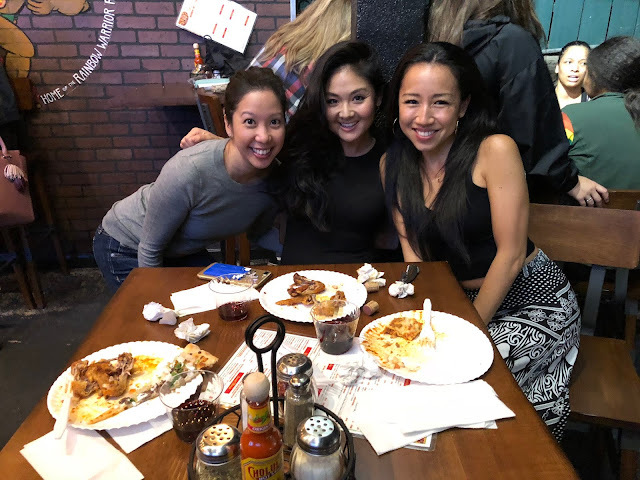 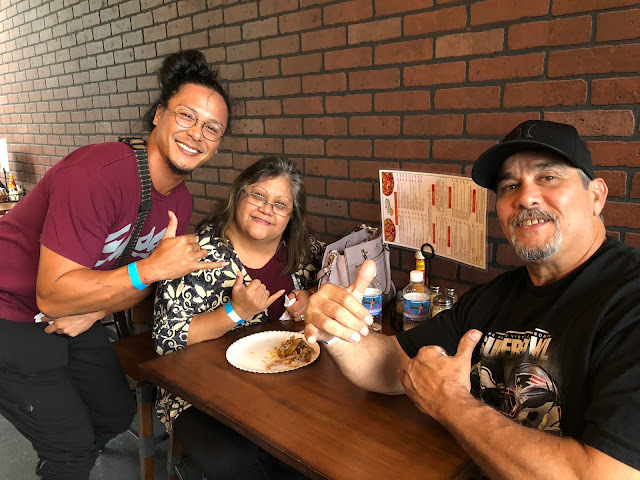 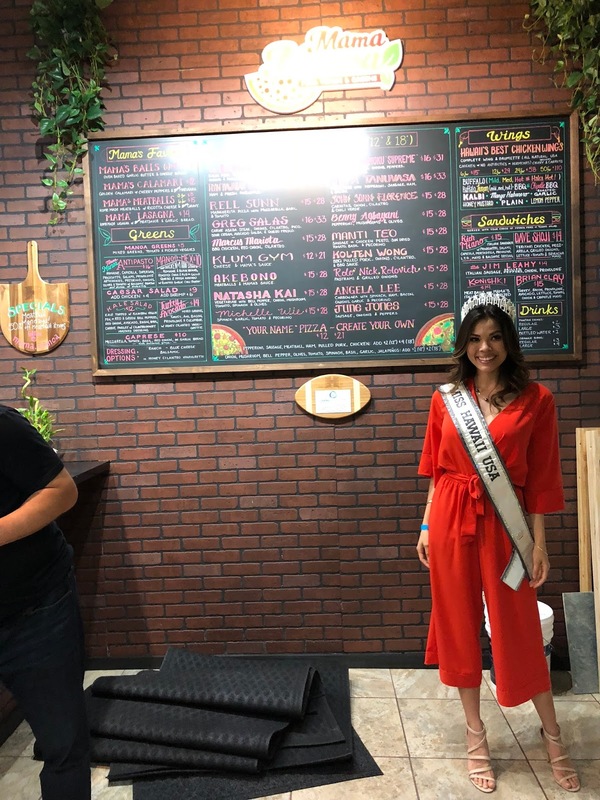 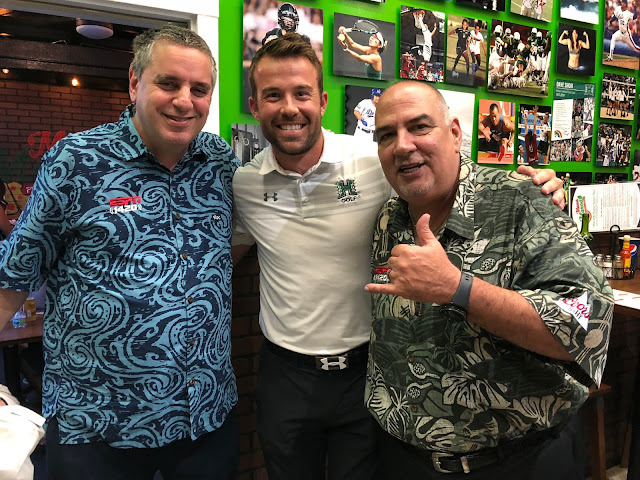 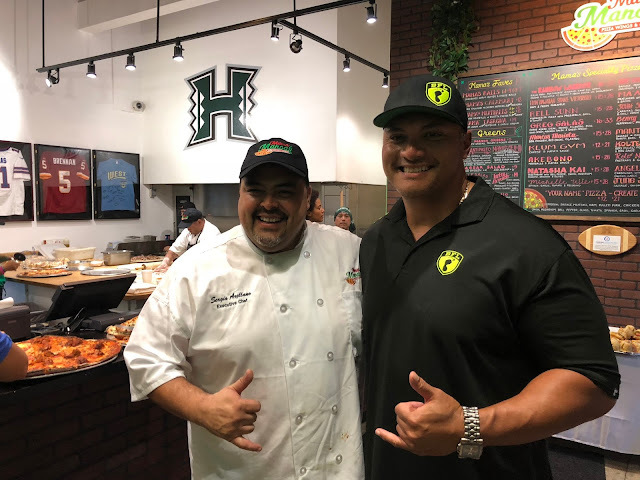 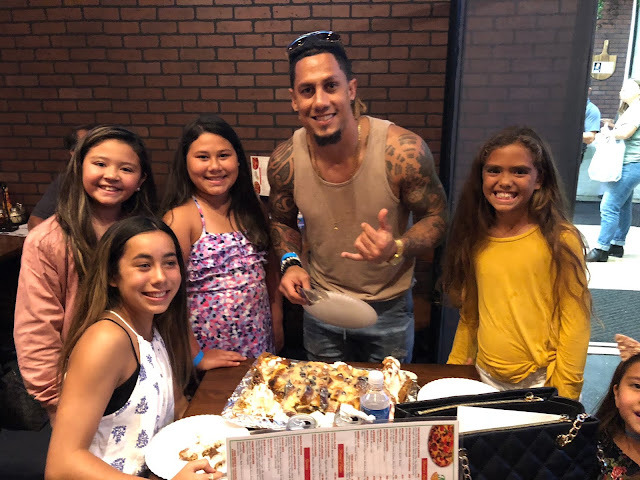 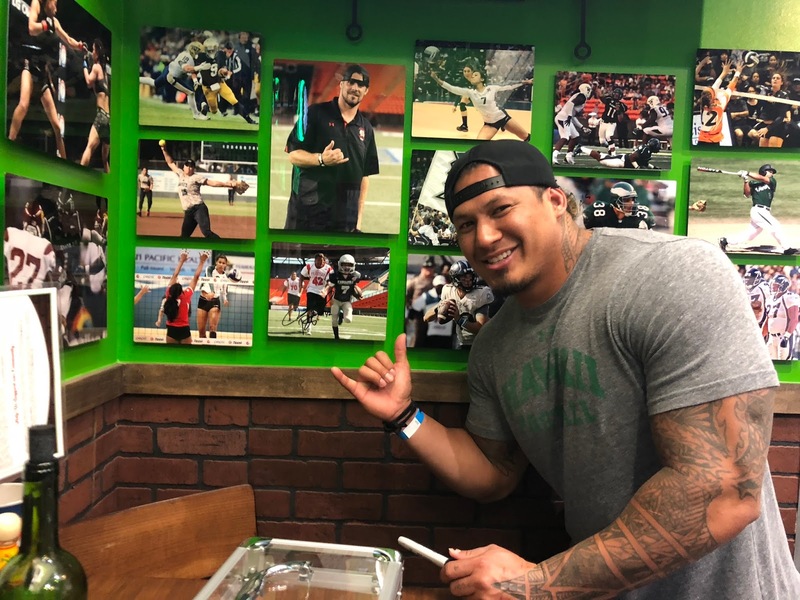 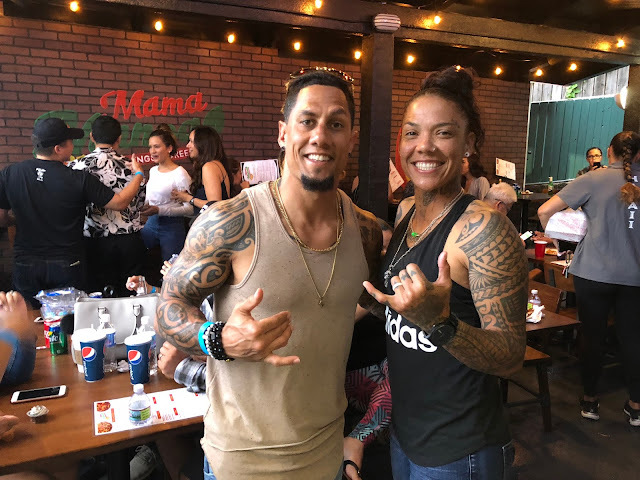 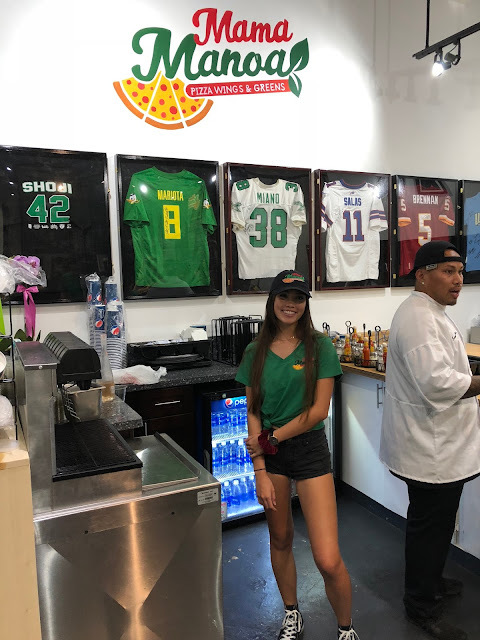 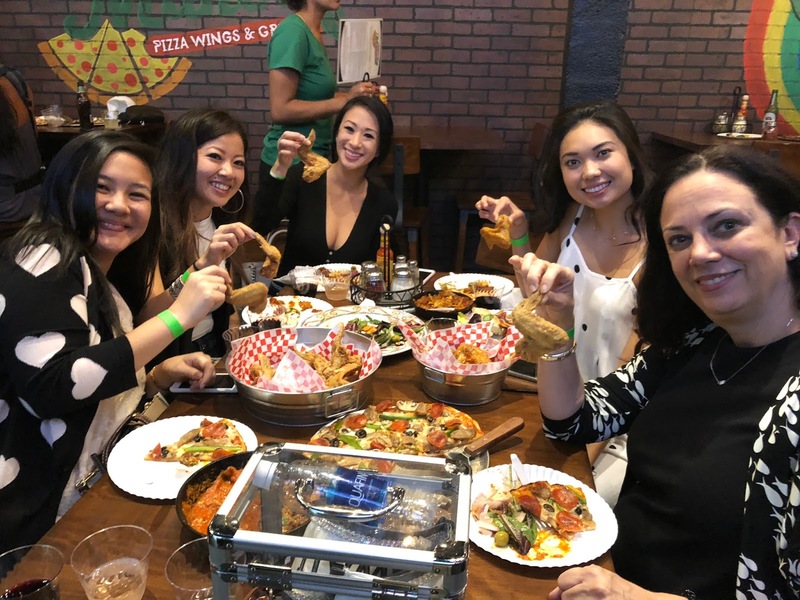 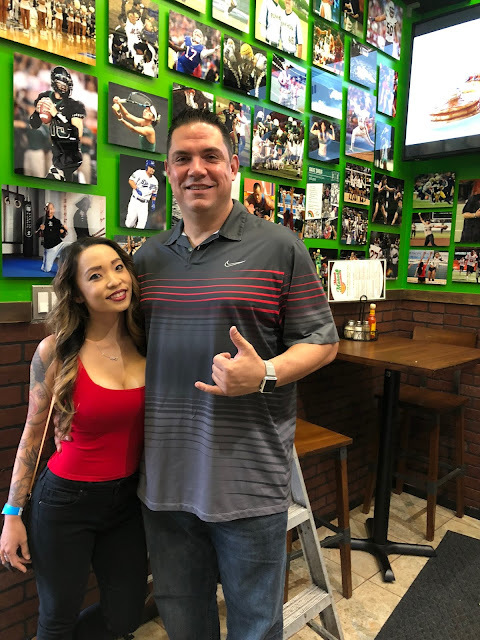 Coaches, former Hawaii players, Olympic athletes, NFL and CFL Football Players, Beauty Queens and celebrities graced Mama Manoa for a very special evening where we presented the entire Mama Manoa menu in buffet form to our guests. 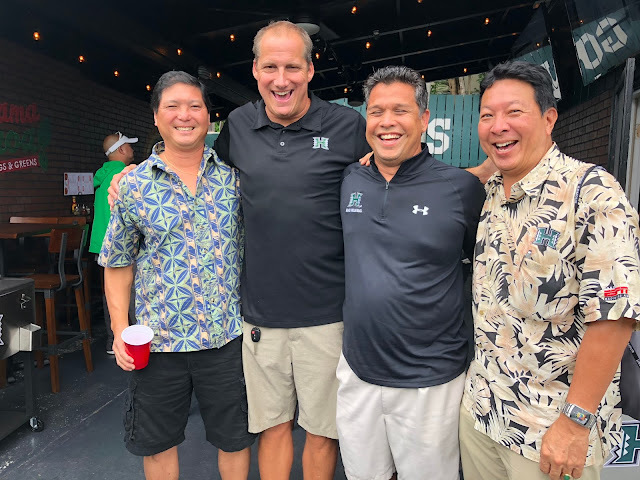 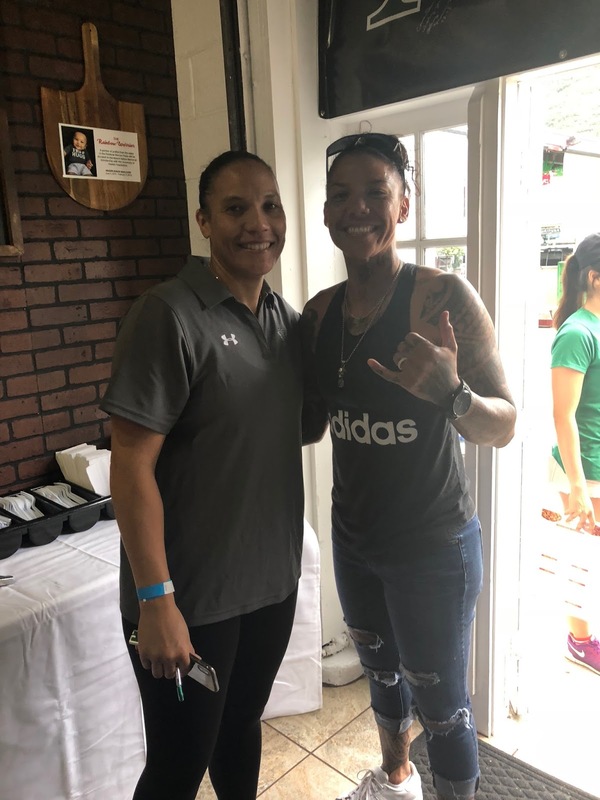 The list of people in attendance was humbling and a true reflection of the diversity of the great athletes and coaches from Hawaii. 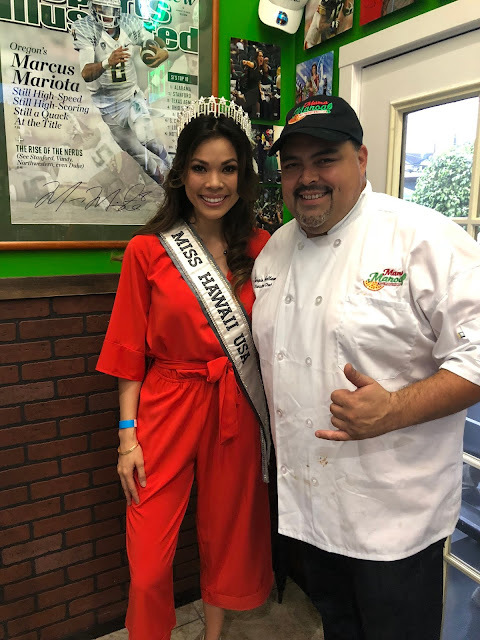 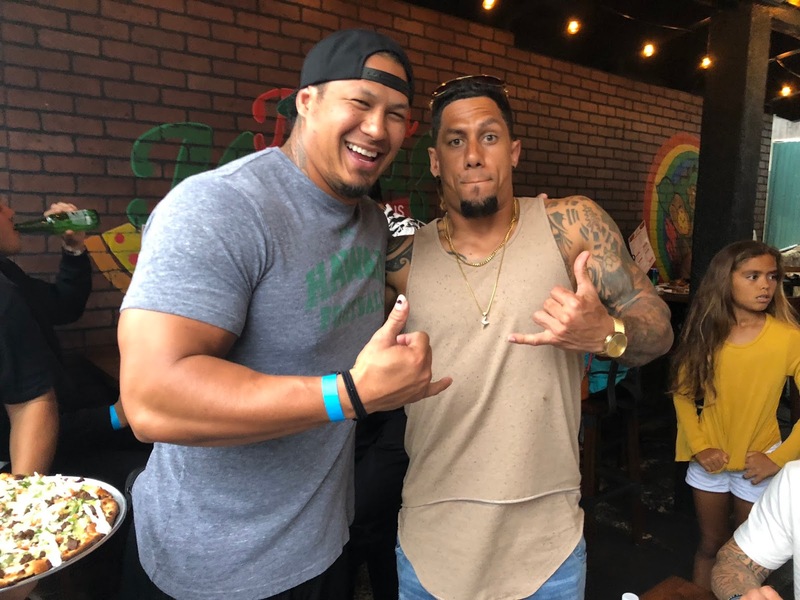 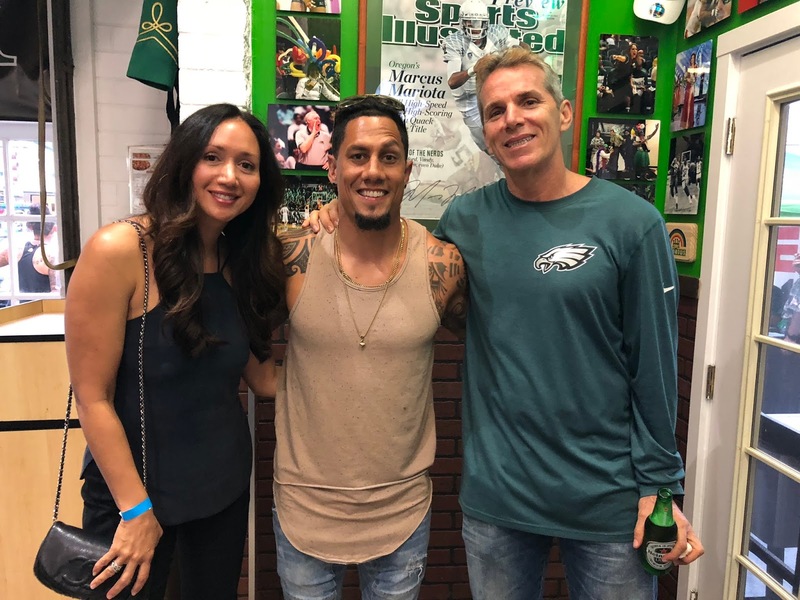 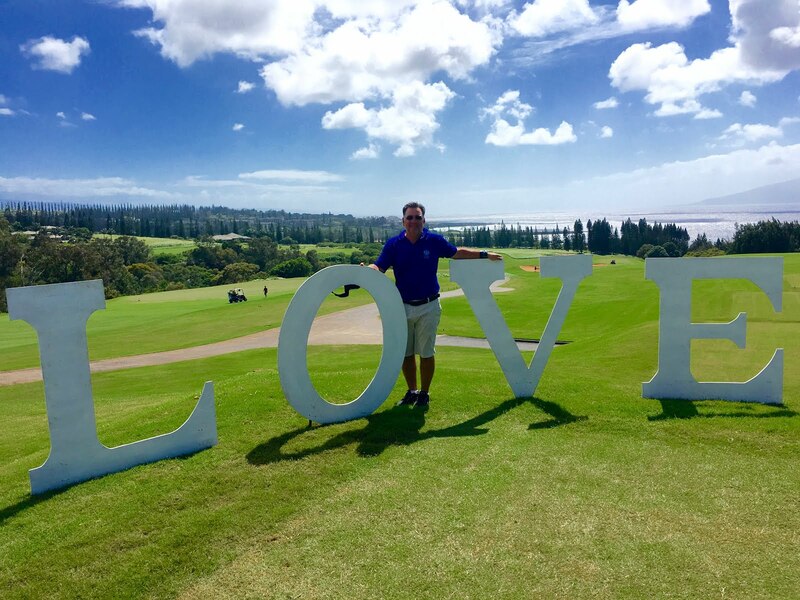 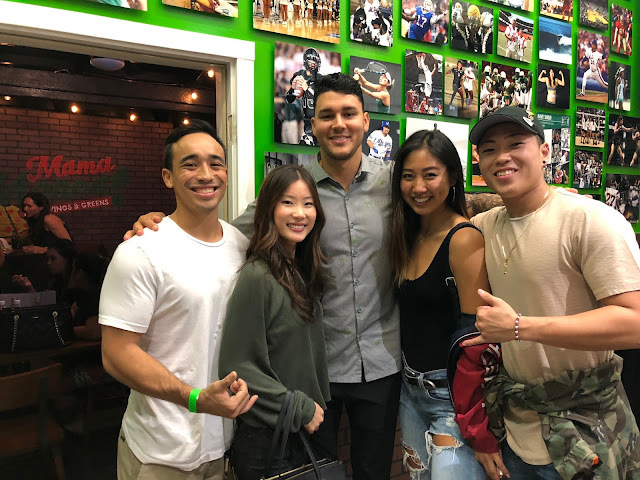 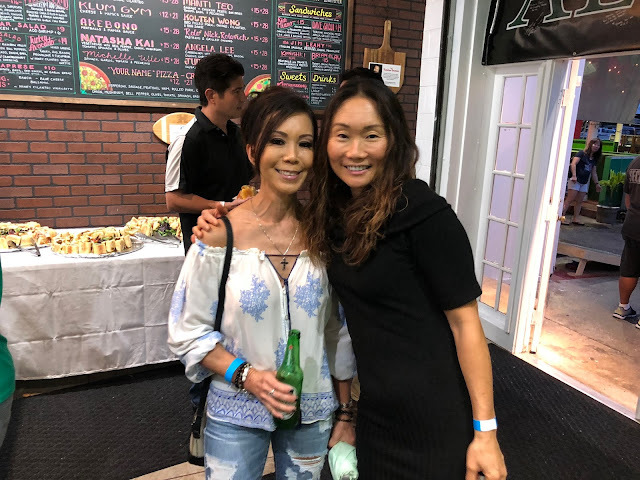 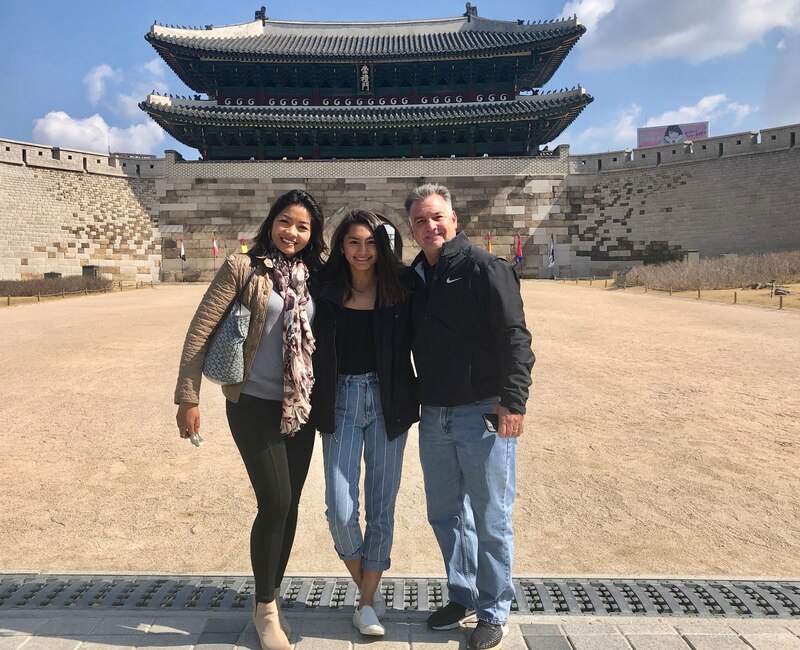 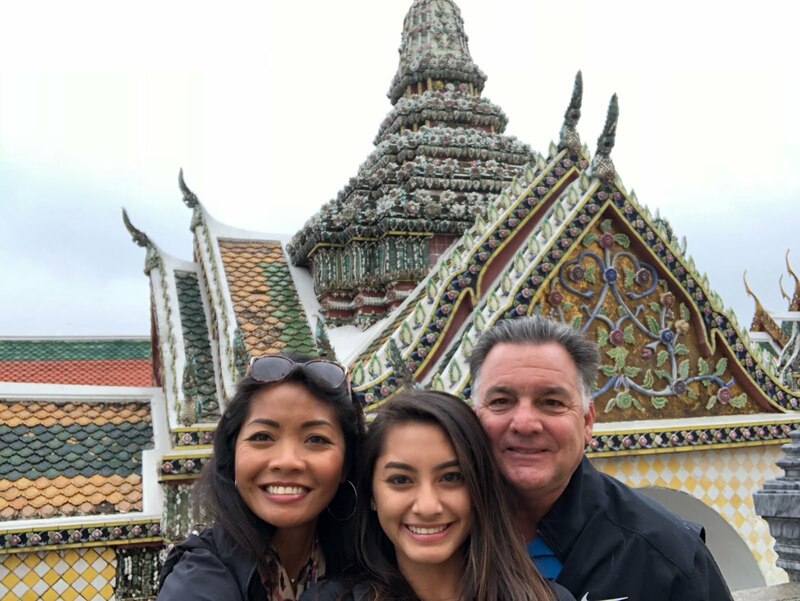 Maa Tanuvasa, Chad Owens, Rich Miano, Greg Salas, Bryant Moniz, Dave Shoji, Robyn Aw Mow Santos, Angelica Lundquist, Natasha Kai, Jeff Hall, Miss Hawaii USA (Julie Chu), Leonard Peters, Keaola Pilares, John Veneri were just a few of the stars attending the opening. 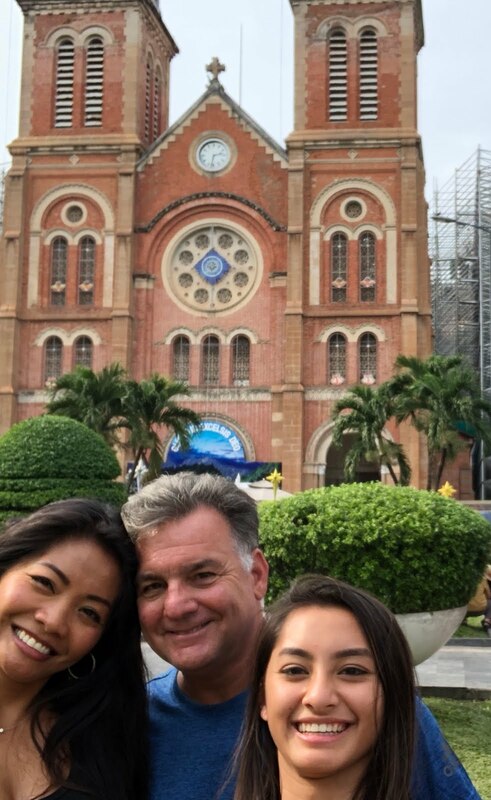 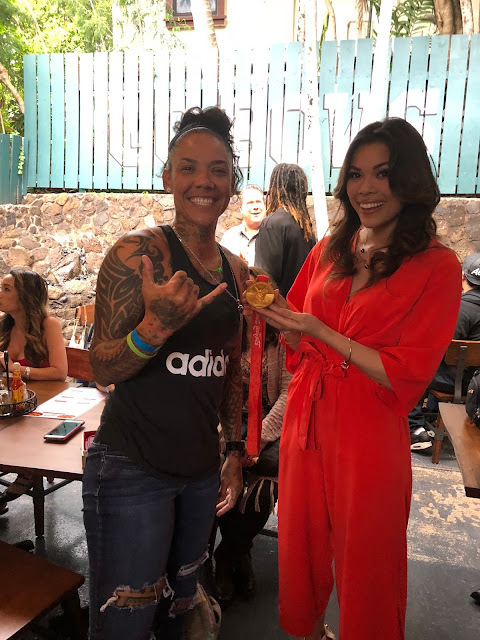 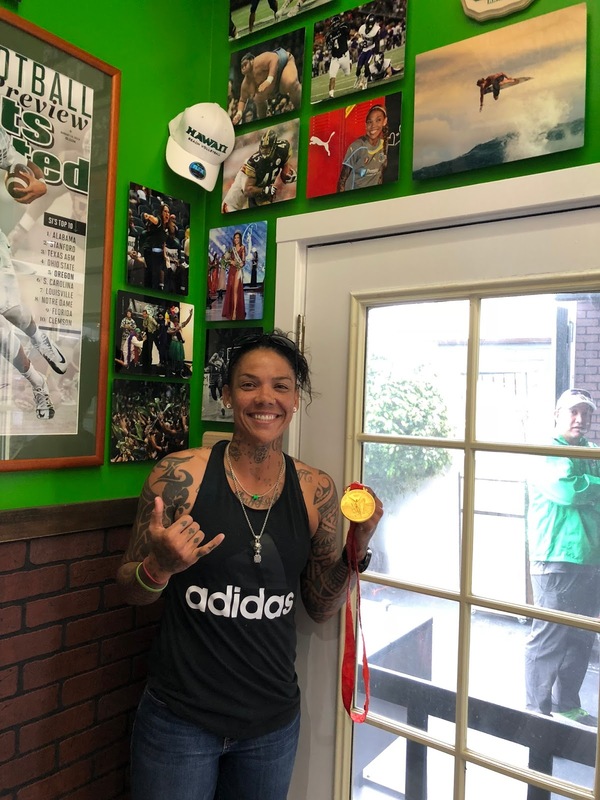 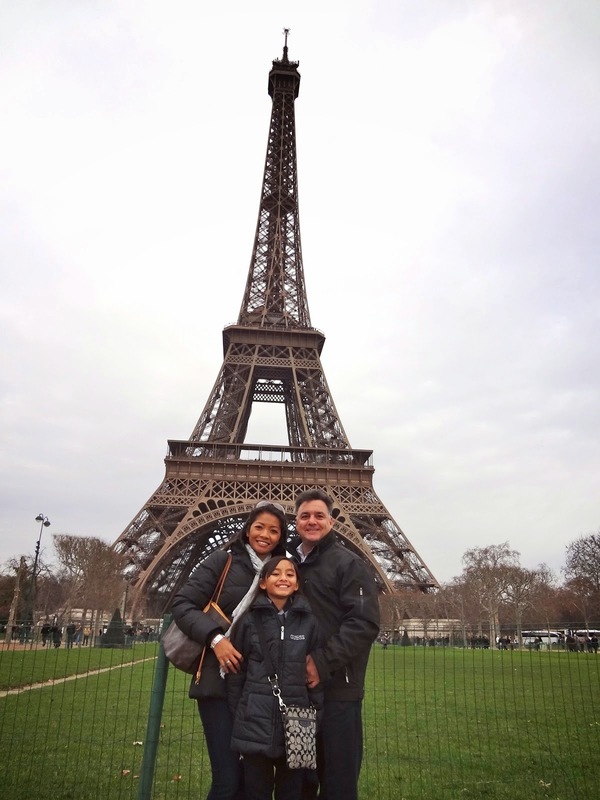 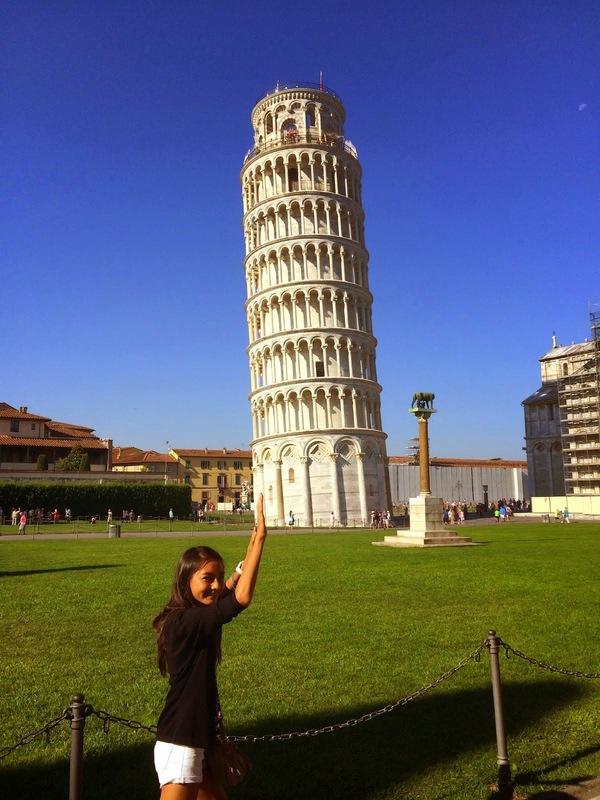 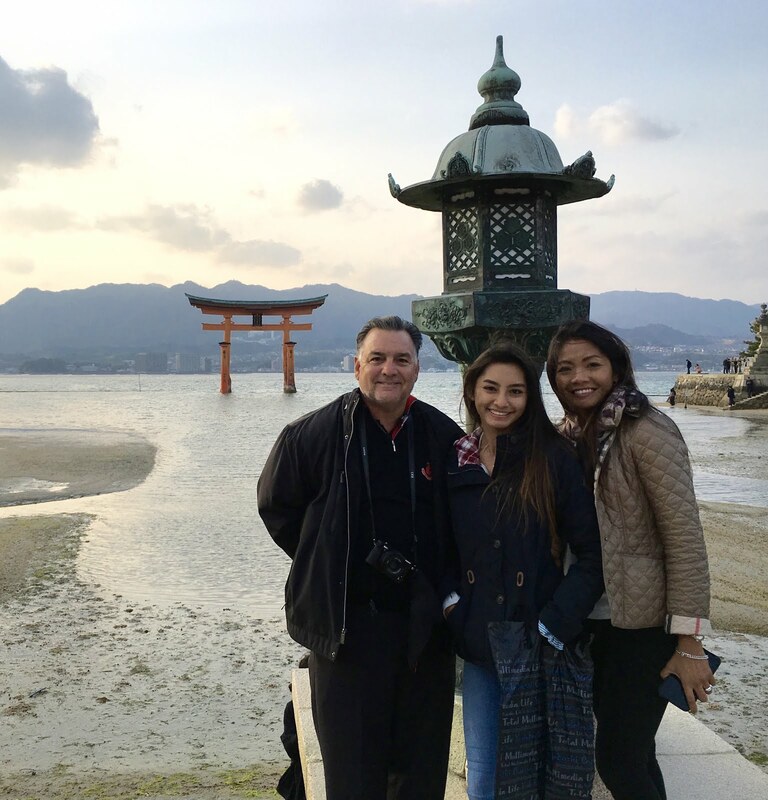 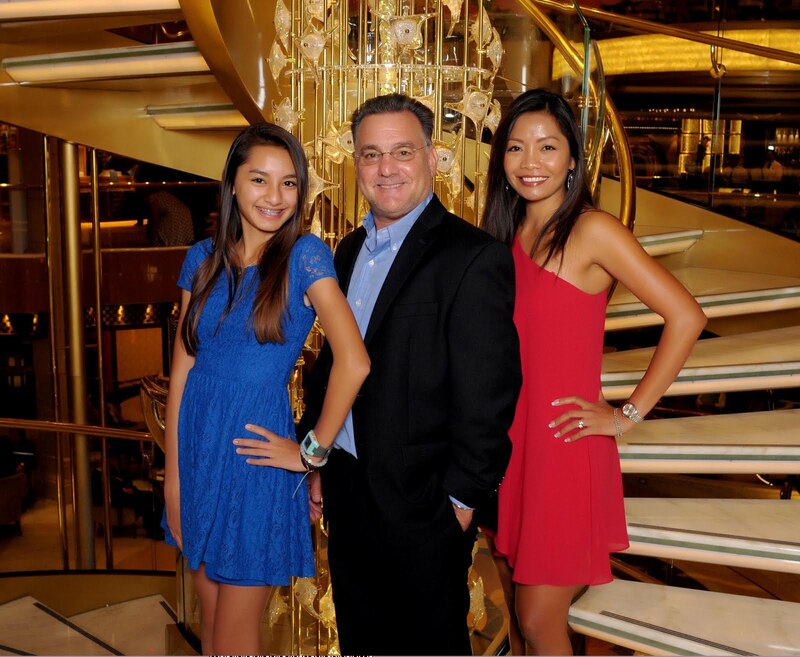 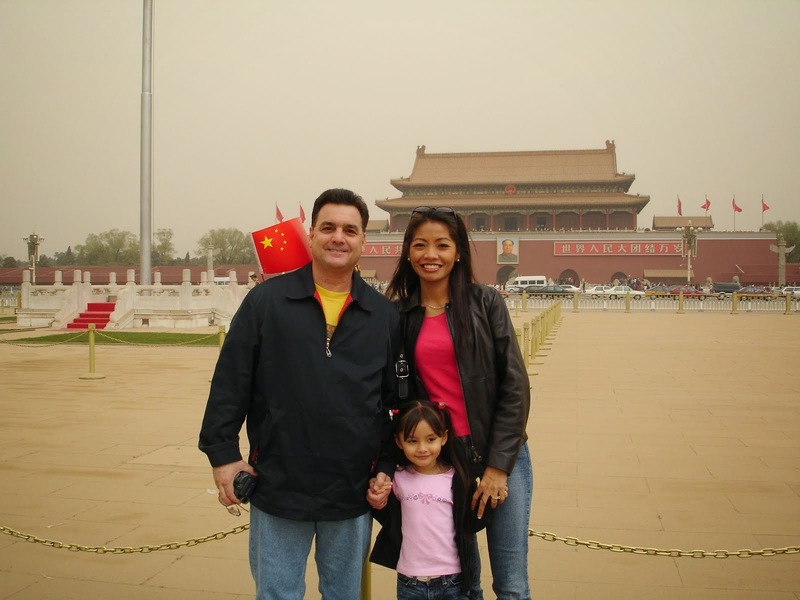 Olympic Soccer star Natasha Kai actually brought her Gold Medal from the Beijing Olympics. 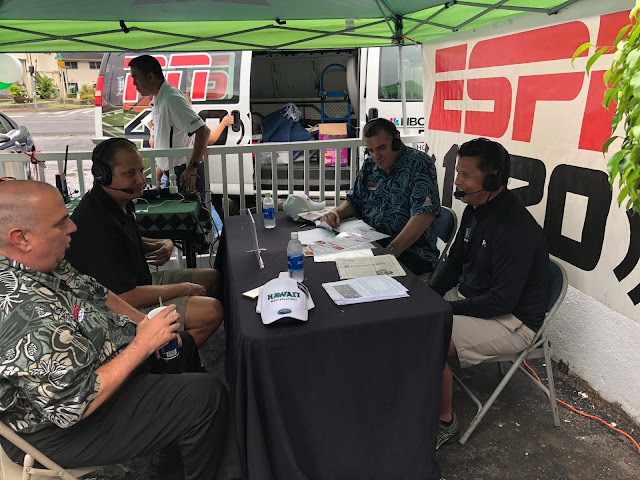 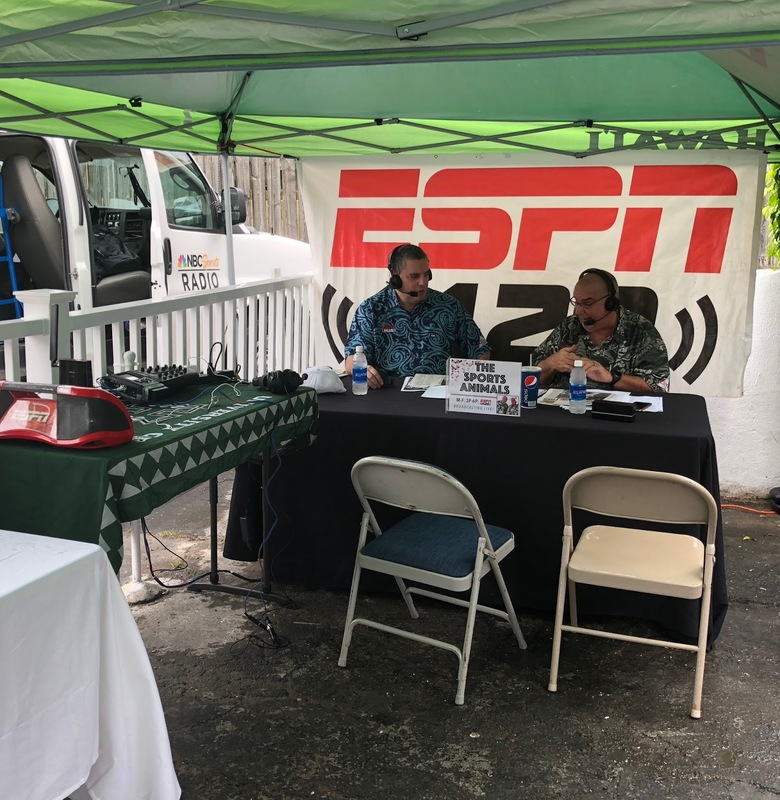 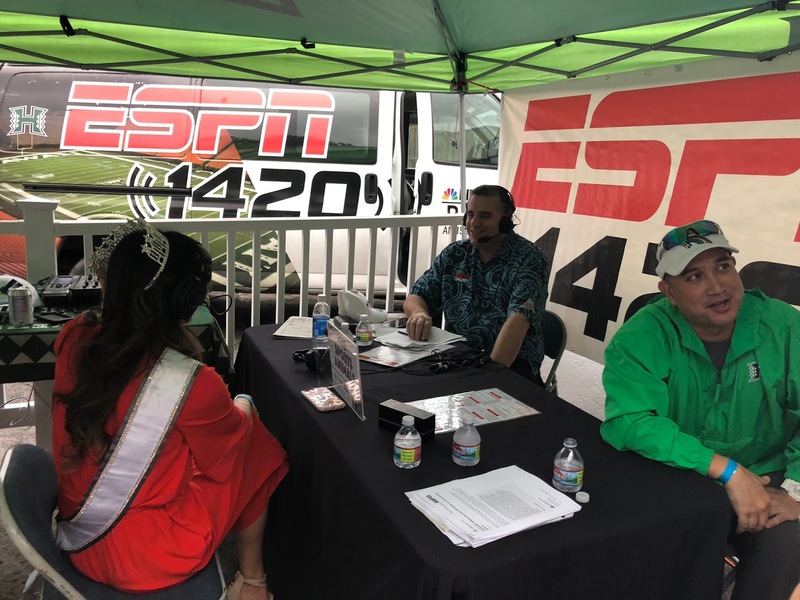 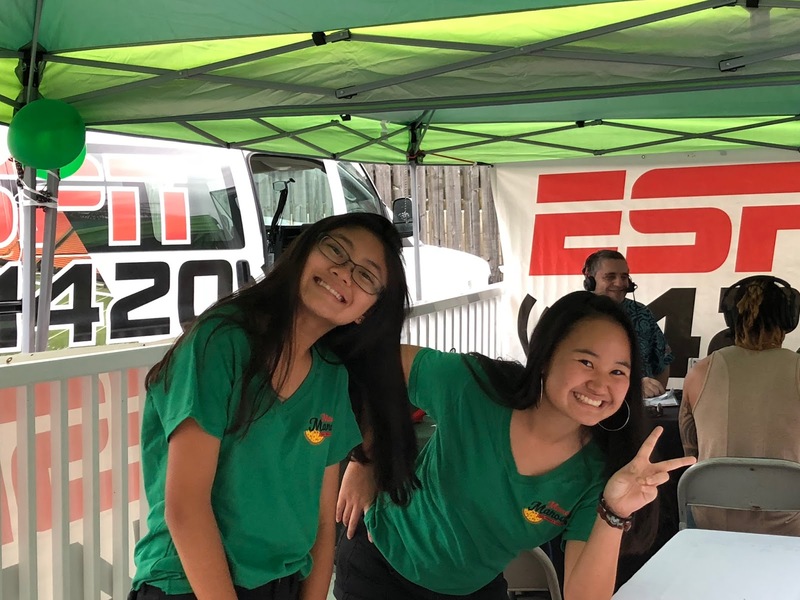 ESPN1420 Radio was on hand with the Sports Animals doing a live broadcast from Mama Manoa. 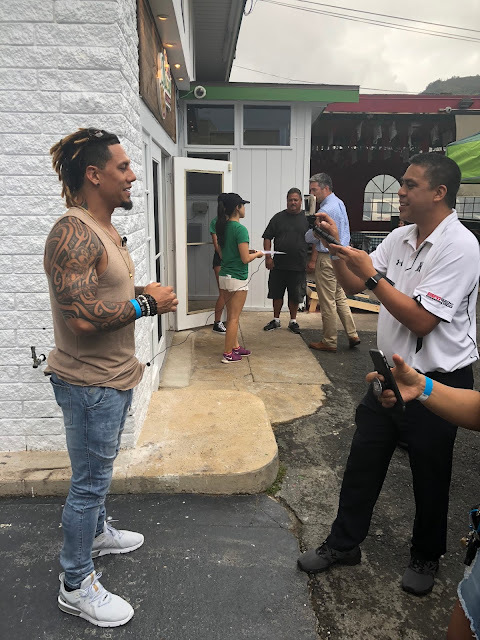 Live interviews with the athletes were done on site and even Serge and myself were interviewed. 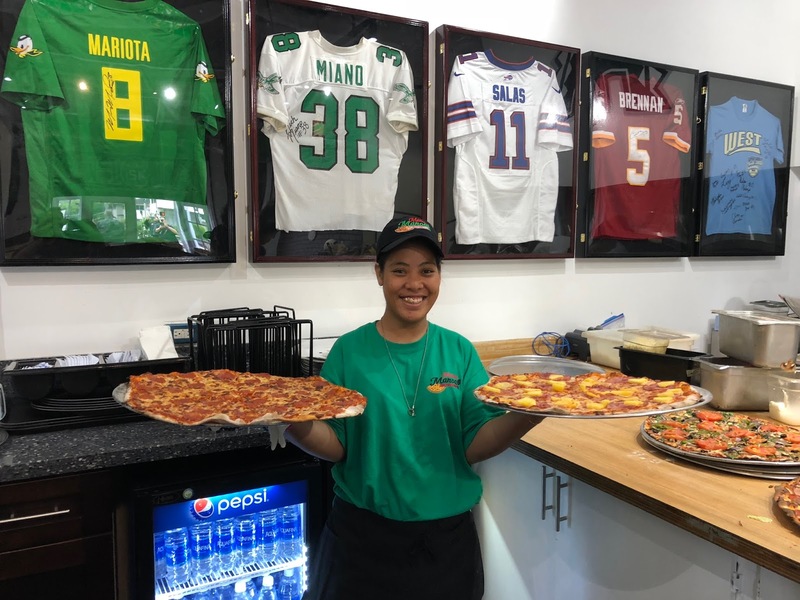 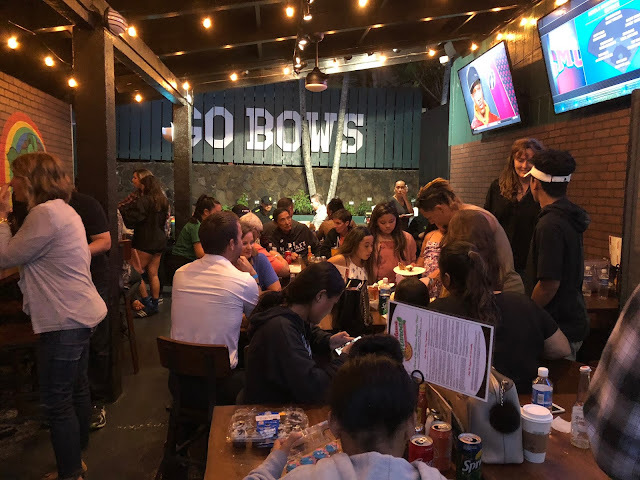 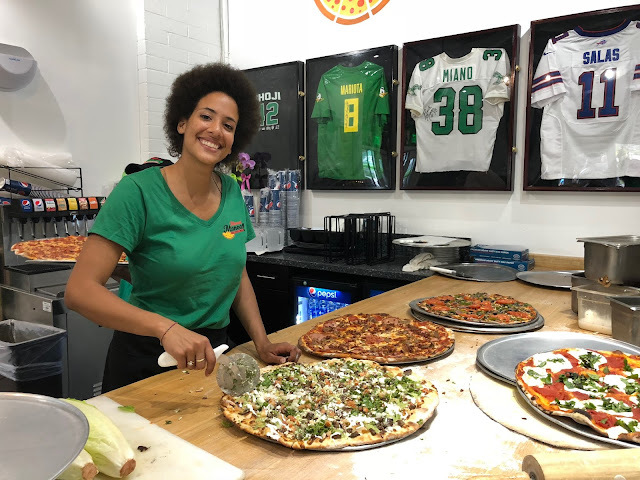 The athletes feasted on all of our Specialty Pizzas which are named after Hawaii athletes, Sandwiches, Salads and hundreds of Chicken Wings. 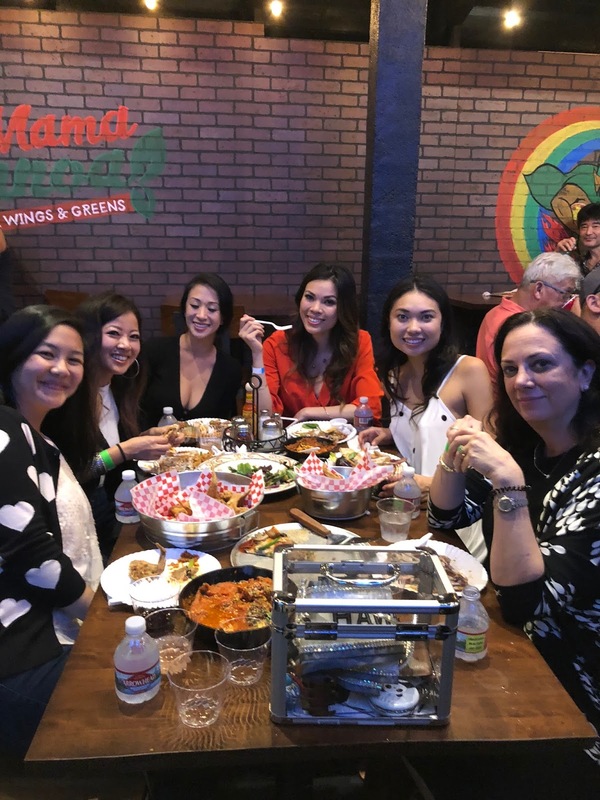 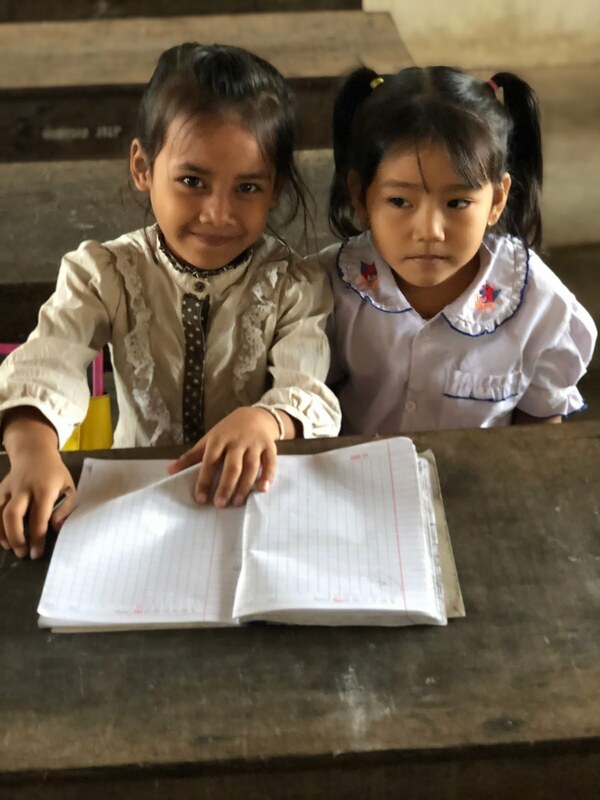 Cannot say what they liked best as everything was being eaten in large quantities and to my knowledge there was not a single complaint. 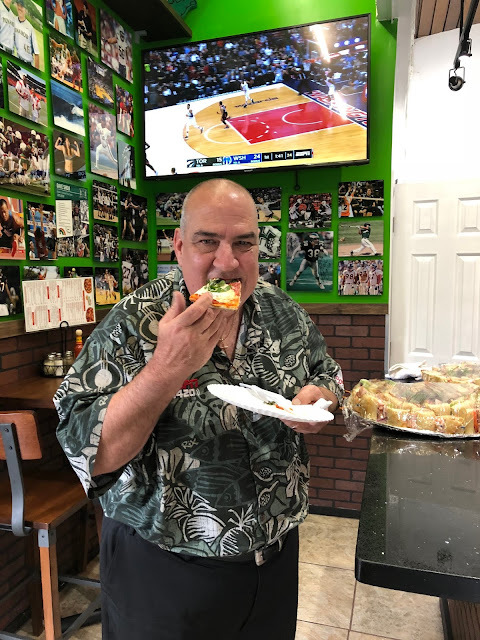 Reviews of the food were incredible. Blessed to bring this restaurant to Manoa and for all of the support we have received from the University of Hawaii, athletes and community. 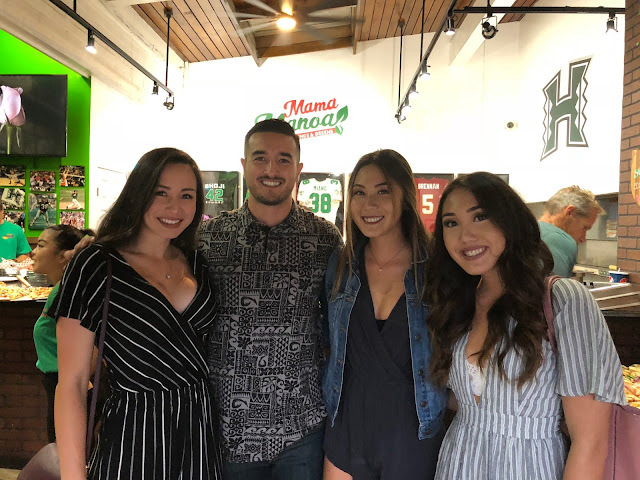 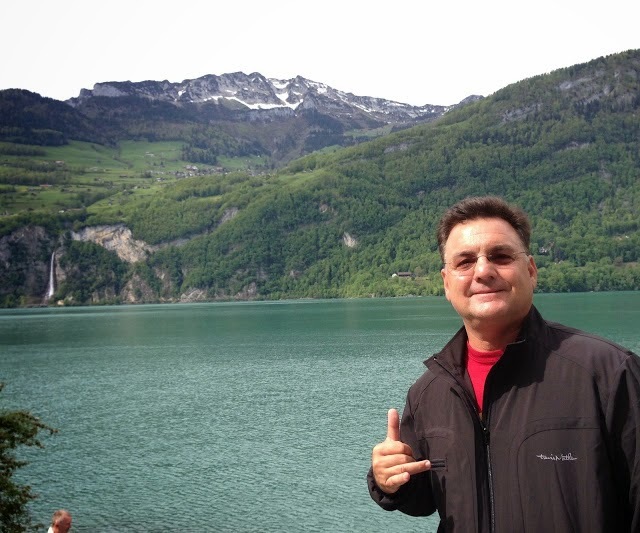 MAMA MANOA SAYS "GO BOWS"